Ever wanted a chatbot of your own but have no tech background? No idea where to start? Chapter 2: Do You Need a Chatbot? Chapter 9: Ready to Launch? Checklist. What’s with all the commotion around chatbots this year? Are they just a fad or are they here to stay? And if they are, what can they do for you? We’ll try to answer some of those questions and more. Let’s start with a little taste of what chatbots can do. The CNN bot helps users retrieve news. You tell the CNN bot what you are interested in, be it the summer Olympics or US presidential election and it will happily oblige with a selection of news stories. Disney keeps releasing bots along with its movies, the Zootopia bot, for instance, lets you discover and solve crimes. You can talk to the Miss Piggy bot to know more about her! The Hyatt hotels bot can talk to you about your reservation status, check-in times, available facilities and price. Hello Jarvis bot is a personal assistant and Healthtap answers questions about medical issues (yikes!). There are chatbots to talk to about weather (Poncho), stock markets (Finance bot), shopping (Nordstrom), travel (Kayak) and almost anything under the sun. You can even talk with a bot for random chats to create stories or just to kill time. This is just the tip of the iceberg though. The above examples are only a few of the chatbots hosted on one messenger, Facebook. Along with thousands of bots already on Facebook, scores are added daily and new messengers are adding the capability. The sheer quantity of bots available today is proof that businesses see tremendous potential in them. Some of the earliest Chatbot-like software was ELIZA and SmarterChild. Eliza was coded with a therapist like chat response, asking users how they felt about what they were saying. Moving forward, SmarterChild was the first chat program created in the spirit of today’s chatbots. It showcased the possibility of accessing database information through a messenger interface. Chris Messina is credited with contributing a great deal to the Chatbot boom. He is currently the Developer Experience Lead at Uber. His value proposition is simple: make Uber available on all platforms so users can book a car on the medium of their choice. Although it seems like the Chatbot story is beginning now, the Chatbot story has come a long way starting from ELIZA to the modern day conversational interfaces like Siri and Cortana. What is a good bot? Just as the name indicates, a bot chats with people. Most people are comfortable chatting with other humans through messenger services. Thus, the best bot is the one that behaves most like a human. A commonly accepted benchmark test for bots is the Turing test, where there are 3 players. The first player talks with 2 other players, one of which is a human and the other a chatbot. Within 5 minutes, the first player must choose between them and say which was the human and which was the bot. Alan Turing dictated that a good chatbot is said to receive the accolade of being human 70% of the time. Messenger services are beginning to look like the next generation UI, replacing apps and websites, existing giants are responding. To shore up its position in the messenger environment, Facebook recently dropped $22 billion to acquire WhatsApp. With the incredible amount of money spent, we can assume that Facebook is seeing enormous potential in the industry. We always hear those millennials are the social media generation. Yet, in recent years their addiction to messaging apps has far surpassed their addiction to social media. Business Insider Intelligence reports, the top 4 messaging apps have turned the tables on the top 4 social media platforms in recent years and have become the more popular of the two with smartphone users. 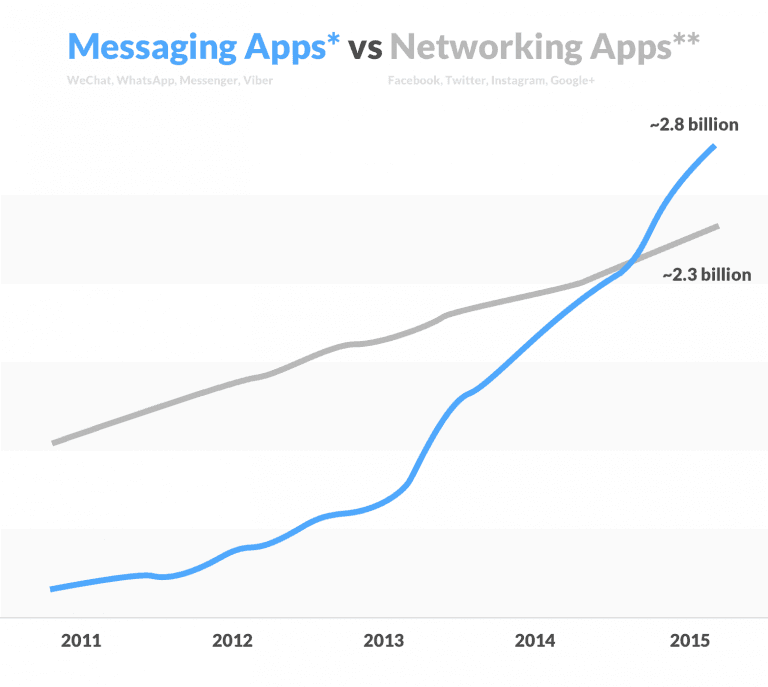 As we grow forward the gap between social media and messenger service adoption will continue to grow. Since people spend so much time in messaging apps, these apps are seen as excellent mediums to advertise and as of late, for doing business and providing customer support. The time of the chatbot has well and truly come! While natural language processing covers a plethora of topics, we can understand it best with the analogy of a person learning a new language. A person who has just been introduced to a language can understand the meaning of words they know when they read or hear them. Similarly, a Chatbot understands only the words that are fed into its lexicon. While feeding the entire English dictionary into a Chatbot program is very easy, telling it how different words can combine to make sentences is much trickier. Making a machine learn grammar is even tougher (not that it’s easy for humans to learn grammar!). A bot, unlike humans, can’t understand different contextual usages of a word if they are not programmed into it. Natural language processing is the name given to the ability of computer programs to make sense of common written and spoken language. The better a program understands sentences, the higher the quality of the replies it can provide to the user. One of the best examples of NLP today is its application in Google Search. Type something like, “How is the weather in Seattle” in Google and Google will provide the weather information in a nice card at the top of the page. Type, “what are the chances of rain in Seattle” and it will give you the same result. This is an excellent example of natural language processing in practice. The NLP programming of the Google bot is mature enough to understand that although the question and wording are slightly different, both cases require it to pull up the same set of information. To achieve good NLP, chatbots are fed all thinkable variations of the frequently asked questions and answers manually. Algorithms are then written to help the bot fit in synonyms and scope is left for fuzzy matching as people generally ask the same questions in a number of ways. Machine learning is the ability of computers to learn by themselves without any hard coding. It’s worth mentioning that it is likely the vast majority of chatbots on the market today are not using machine learning. Most are using a retrieval based model where possible questions and answers are hard-coded into a flowchart-like structure. Thus most of today’s chatbots are not really learning to answer questions themselves using machine learning but are still learning to understand questions better with the help of NLP. For chatbots that are using the machine learning like IBM’s Watson or Google Assistant, the difference is they have a lot more data to work with and train. Some chat bot today and those developed in the near future will use a process called “supervised learning” for machine learning. To put it into simple terms, answers given by the bots for different questions are rated on accuracy, usually by a human operator and fed back to the bot. The bot thus keeps learning about the right and wrong answers to questions and continuously keeps improving its answers. It stores the correct answers in its memory and rejects the wrong ones. Machine learning is perhaps the most important aspect of Chatbots, without machine learning the bot will remain as smart or as stupid as it was initially until its code is changed manually. Although machine learning is essential for a chatbot to expand its response lexicon over time and NLP assists in understanding the questions and statements entered by the user, these two alone are not enough for a chatbot to have full contextual understanding in a conversation. For anyone that has worked any length of time in customer service, the way you respond to customers depends vastly on their emotional state at the time. We live in an age where consumers can easily air their grievances with companies over public channels, so understanding when customers are overheating and offering that extra concession is essential to successfully managing customer relationships. While NLP takes a sentence and breaks it down into codified elements to allow the chatbot to understand the content, sentiment analysis seeks to rate the context of a sentence or series of sentences on an emotional scale from perfectly positive to perfectly negative. When a user adds the sentence, everyone is going to hear about the kind of service your company has provided me, it is of no consequence in NLP. However, sentiment analysis will take the statement into context with the preceding conversation and decide whether to respond with thank you or go into damage control mode. Testing is a cornerstone of any application development, and the same goes for the post-app era. No matter where you intend to use chatbots, testing is a must have before any chatbot can be launched in its live version. Intents in a chatbot without machine learning could very well do the job, if intents had enough incumbent messages that matched the sample data given to the intent, and if you didn’t require to remember past data given to the bot. But in all likelihood, your objectives will require some machine learning, as human input will come in ways you may not intent, spelling mistakes, and data that if not remembered by the bot earlier in the conversation, could very well break up the flow of the conversation if the human user needs to recite past data. This would put them in a conversational loop that would be very difficult to get out of without forcing a change of conversation topic from the user’s side. To really use a chatbot to meet an objective, you could, of course, build your own, or hire someone else to do it for you. But there are pros and cons for each method. If you build it yourself, the NLP you make, or the third party NLP you use, will require testing modules to allow you to train the bot. If you’ve hired a third party to build your chatbot for you, ask them beforehand what their testing methods include. Any real chatbot agency or contract developer would tell you about the training of the bot in sample data intent, and ML Confidence Levels. 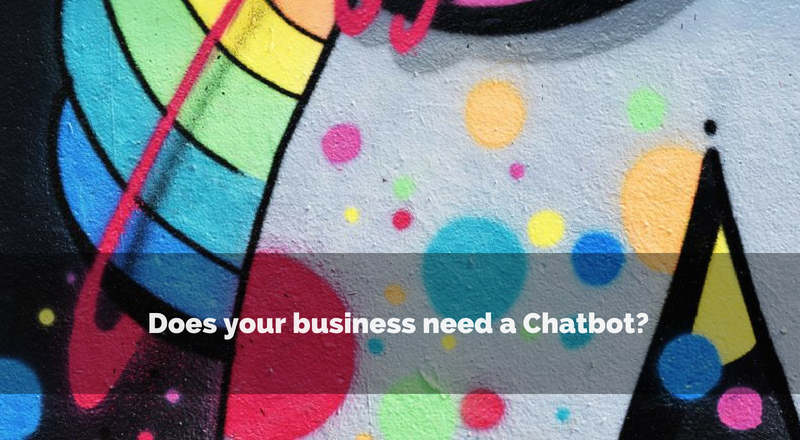 Chapter 2: Does Your Business Need a Chatbot? Chatbots are useful for a growing number of use cases. But you shouldn’t invest in one if it is not going to work for you. So, let’s discuss some use cases and industries. With messengers, there is an opportunity to create valuable direct touch points with customers. However, as customers continue to query through messengers and the volume of communications grows, they become difficult to handle. Mercifully, chatbots can respond to standard queries faithfully and allow businesses to be more responsive to customers. How much does your business rely on customer communication? Are you constantly in contact with customers? The higher the need for constant contact, the more likely a Chatbot serves the purpose well. 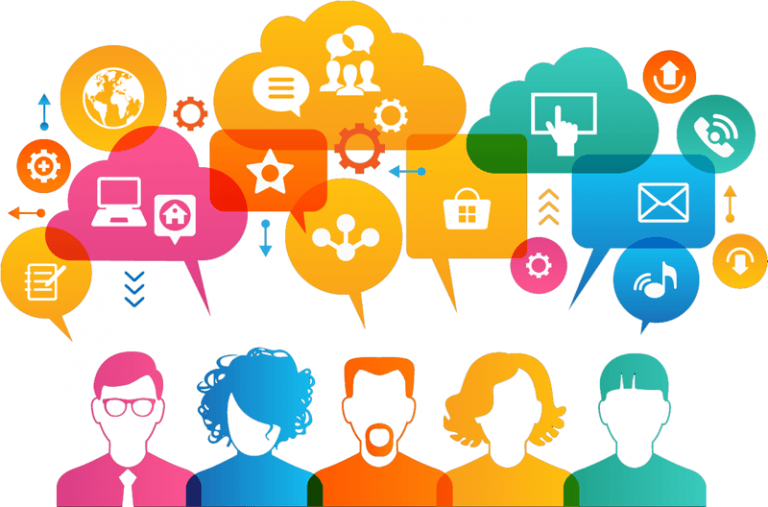 What level of engagement does communication with your customers require? Chatbots are great at answering inquiries accurately and quickly. If you receive many repeat inquiries from customers, you should have built your Chatbot yesterday! However, if your customers require answers to questions that rarely repeat, a chatbot may not be the best solution. 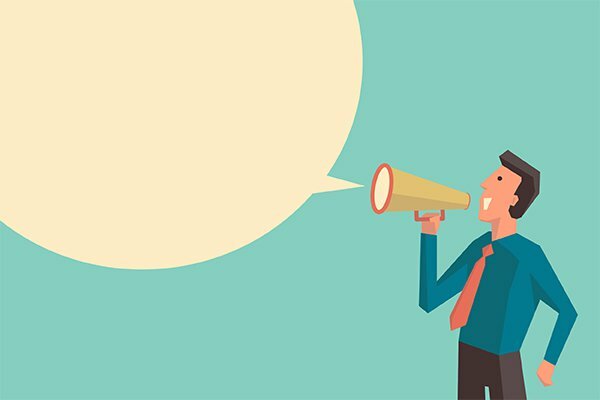 How do your customers want to communicate with you? Forget chatbots for a second, communicating with brands or businesses over messenger is an emerging concept for many folks. If you cater to customers who are excited about tech, a chatbot would make an excellent addition to your customer communication arsenal. Some businesses don’t have the need or desire to communicate with their customers through messenger yet, but they should be looking forward to it. Successful interactions through this channel have the potential to keep complaints away from social sites if customer concerns can be dealt with quickly. The same can be said about helping customers with information discovery, helping to push them further down the sales pipeline. Adopting messenger can make businesses better at communication and ultimately more competitive. Enough about interactions and business communication, let’s dive into some sample use cases. What Can a Chatbot Do Anyway? Chatbots are great at retrieving information, even from unstructured sources. Google Search, which is perhaps the biggest and most ambitious chatbot built yet, is incredible at fetching news. Simply type ‘NBA scores from last night’ and Google shows you the scores for all the games. If you would rather have the scores for only one game, that’s doable too. The only thing left for Google Search to become a chatbot as we know it today, is for it to be able to understand your response to a search result, which is only possible through Google Now. News apps were some of the first to add that functionality. Chatbots from CNN, TechCrunch and Washington Post fetch news about topics that you ask for, allowing you to narrow down your interests through further conversation. Knowledge isn’t just about the news, there are other apps trying to leverage chatbot technology to deliver information in more creative and in many cases, useful ways. Duolingo is one of those apps, allowing users to learn a language by having simple conversations with the app. These conversations grow in difficulty as you go along, allowing you to learn a language while using the app on your morning commutes. There is a growing movement out there that supports a shift to ‘conversational commerce’. Conversational commerce means exactly what you think it means, commerce through a conversation, like at a physical retail location. Ideally, chatbots would be able to do a consultative selling, but we’re not quite there yet. Chatbots can help reduce some of the hassles of online stores. If you’re like me, you remember the countless times when an online website did not have the filters you wanted and the search bar didn’t really work. Chatbots can alleviate much of the time wasted by filtering a list of products by using a single sentence search string. “ Show me formal black shirts with mandarin collars from brands A, B, and X that are in stock at store Y”. Today, you may need 20 minutes on a website and some time on the phone to get that kind of reply. A chatbot would give it to you instantly. Some retailers have already seen the potential and released chatbots. Nordstrom, Zulily, and Chubbies all have bots of their own. Although you can search for products with some, these retailers mostly use them for resolving customer problems and giving information like shipping updates. We see chatbots in eCommerce as a potentially double-edged sword. The temptation of advertising through the direct channel of a messenger will probably be too strong for some companies. This can turn a potentially valuable tool into a dud, as on Facebook Messenger, for example, bots that are reported for spamming by users are banned from the platform. Up until recently, most chatbots were only created to be used for fun or as a novelty. Talk to a bot is if you had made a friend or if you feel more adventurous take the discussion to another level by changing the topic slightly as you go along and form a mini story as you go. A well-spoken bot can be a great entertainer. More recently talking bots have been harnessed as marketing tools to create hype around upcoming games, shows, and movies. The Game of Thrones Survival Bot creates show scenarios while you chat. Can you survive in George RR Martin’s fiercely competitive and dangerous world? Video games are also launching bots to market their games. Call of Duty is one of the first to explore this promotional tool, allowing users to explore the storyline of their upcoming release. The informational structure of these storytelling bots is a great example of how bots actually work. Much like a choose your own storybook, every point in the bots conversational story is a node. Each node has several branches going to further nodes. The bot chooses where the story goes based on the responses of the user. Having many nodes at every branch creates the illusion that every story is unique to the user who goes through it. But this means a story is only as good as the nodes and branches designed, the chatbot is only a facilitator. In terms of messenger services, Slack was a really early adopter of chatbots. There are numerous bots available on the Slack platform and more are being added every day. These bots are usually designed to make day to day office life easier and improve efficiency or productivity. Although bots only came around a short time ago, there are already bots for virtually every office activity. Ace bot can create and monitor polls and meetings. Tomotobot helps you keep track of your everyday tasks and informs you of today’s progress for you and your team periodically. Worklife bot knows your calendar and sees your email, every morning it sends you a summary of how your day is going to look like. Other industries are slowly warming up to Chatbots, just like with any new technology, there are a few risk takers who move first and based on their success, others will follow suit. Some industries, which deal with sensitive information are the last to adopt new technologies. These industries are generally from the banking and financial services. The industry is still new, it has only been half a year since Facebook allowed the integration of bots on its messenger. But there has already been explosive growth and if the trend continues, almost all industries will discover the utility of chatbots in their domain. In that case, we expect a rapid expansion of chatbot use cases in the coming years, particularly where consumers are involved. How about a Chatbot of your own? If you find similarities in your business and the cases above, it probably got you thinking about how you can use chatbots to improve your own business. Will it differentiate you from your competitors? The world we live continues to change at an ever-quickening pace and it’s becoming more entrepreneurial too. Competitive advantage is getting harder to sustain and simply adopting the newest technology is not enough. Although it helps to be a first mover, it’s how you apply technology that matters. When applied properly, chatbots are a competitive differentiator in an area where technology doesn’t always fare well, customer service. Customer acquisition and more importantly retention are heavily dependent on good customer service. This is an area that generally requires a lot of investment and has many catch 22s. You want quality customer service, but employees get bored with answering the same questions over and over, so when the complex ones come along, they’re half asleep. So to reduce those simple questions you add a lot of information to your website, making it cluttered and sometimes hard to navigate. Chatbots can relieve a lot of that strain. Prompt responses to customers — chatbots can work as fast or as slow as you desire. Without the need for thinking and typing, chatbots can respond the way AOL once promised instantly. Cost effective — for those large volume queries chatbots are more cost-effective than customer care agents. Even with complex questions, a chatbot is cost-effective when figuring in development, deployment, maintenance and support costs, given a high enough volume. 24X7 Support — Chatbots don’t need bathroom breaks, lunch breaks or sick leave, they happily work 24 hours a day. Great Analytics — With its ability to understand natural language and codify it, chatbots can provide a vast swath of information about customers that can be used everywhere from product development to cost reduction. You’ve looked at your situation, figured out the use cases and decided that a chatbot is going to help you achieve your objectives. How do you go about it? Don’t worry, we have the steps for you! Get out a pen and notebook. Make sure that a chatbot fits holistically into your business. Understand your chatbots objectives and its limitations. Create a development timeline including test launch, QC, pilot launch and final release. Discuss with cross-functional teams to confirm your planned objectives and limitations. Include the customer care team if that is the primarily envisioned function of the chatbot. Include the sales and marketing team if your bot serves as a POS. To get the most value out of your bot, ensure that it integrates properly with existing infrastructure. Hacks are good temporary solutions, but to find synergies in the long run, make sure that you start with a solid foundation. What technology are you going to use? How are you going to make the NLP capabilities of your bot better over time? How do you induce the feedback loop and machine learning? You should be ready with the answers to these questions before the actual design starts. Once you have all the above ready to go, it’s time to start coding. The all-important step, your bot won’t help anyone if customers don’t know it exists. Utilize various channels of marketing to create awareness and buzz. Build or Buy a Chatbot? This is the most important decisions, do you go it alone or outsource your bot to a partner. There are pros and cons on both sides. Build it from scratch. Your team builds the logic, algorithms, codes and user interface on their own. This will require a lot of experience and expertise and an understanding of customer communication patterns. Use an existing platform, either paid or open source. This choice makes sense for a simple Chatbot. The biggest challenge that your team would probably face, irrespective of which of the above two methods is chosen, would be with respect to building the language processing capabilities. Most service providers have a wealth of knowledge about the customer service industry that is constantly being added to their lexicon. Customers can ask the same question in a number of ways and your Chatbot needs to be smart enough to decipher that. Your team would probably need to go through hours of transcripts of customer service calls to understand the nature and articulation of customer queries. Alternatively, your team can rely on testing and learn. However, if you proud yourself on impeccable customer service with close to 100% complaint resolution, you might not want to take a chance with a still-learning Chatbot. Experience — Have they built Chatbot’s in the past, if so, how many? Domain knowledge — An ideal partner will be aligned with your business. If a service provider has no experience in working with your industry, they will find it difficult to understand your customers and the solution they come up with could be jerry-rigged to fit but is actually optimized for another industry of use case. Support — Chatbots must evolve with time. 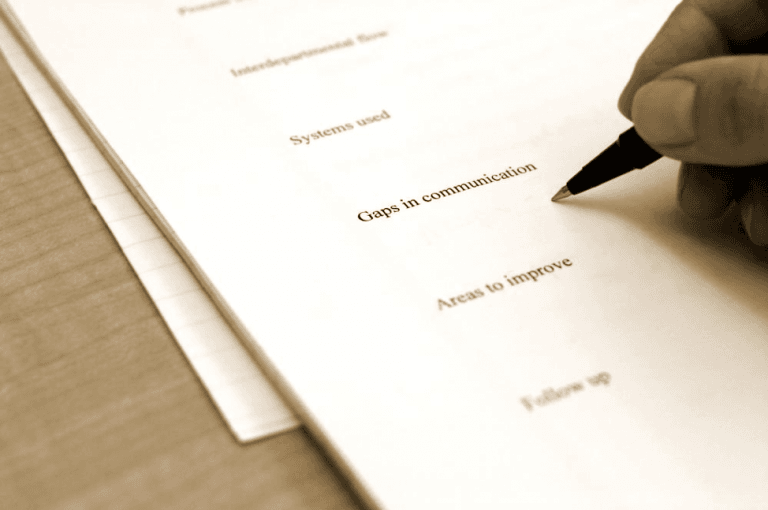 Make sure you have a support and maintenance contract included in your service agreement. Language processing — as discussed earlier, the biggest difference that a professional can make is with NLP. Use some their already deployed bots yourself to get a feel for how well they communicate. Self-learning — As they say, fool me once shame on you, fool me twice shame on me. A Chatbot should have machine learning capabilities and learn over time. Technicalities and warranties — How sure is the service provider of that the bot won’t crash? 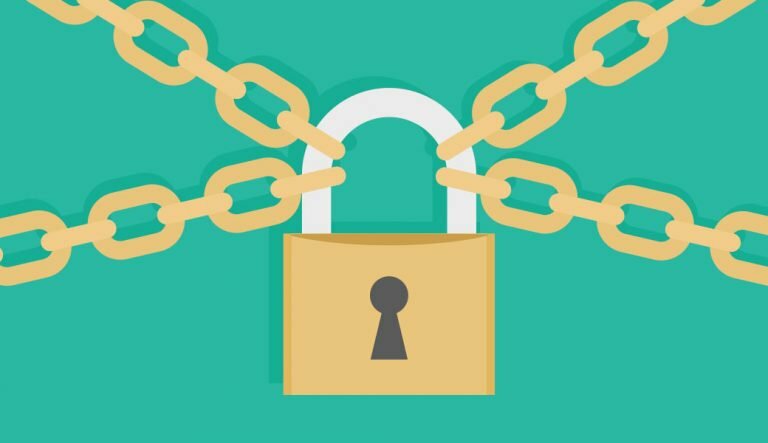 How secure is user data? Do they mask sensitive personal information? 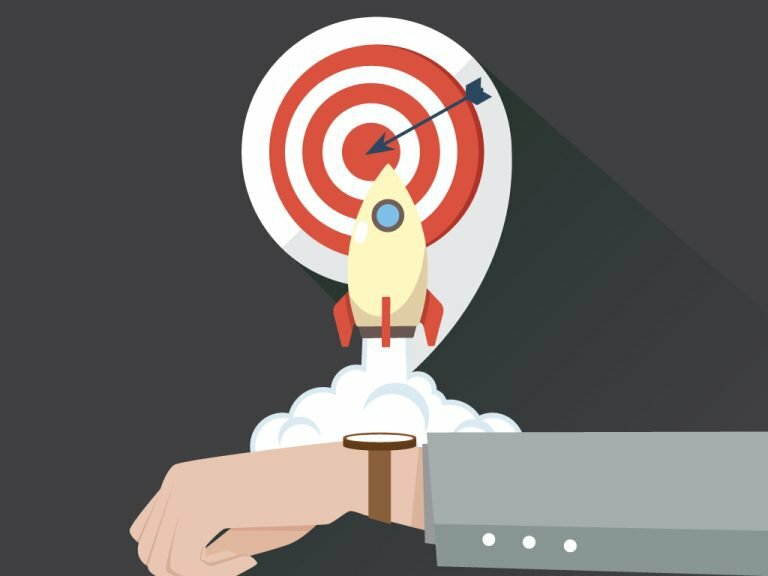 A half-baked product will likely reduce the loyalty of your customers, here are some actions that will help lead towards a successful launch. Hypothesize questions — List all the questions customers have ever asked you and then the follow-up questions that go along with them. Once you’ve made your question tree go ahead and start testing your bot against it. The more you test, the higher chance of success. Customer cross section testing — There are many types of customers from docile and nice to aggressive and rude make sure your Chatbot understands them. Whine and complain about your services and make sure the Chatbot responds as you desire. A bot that can handle cranky customers is definitely a winning bot. 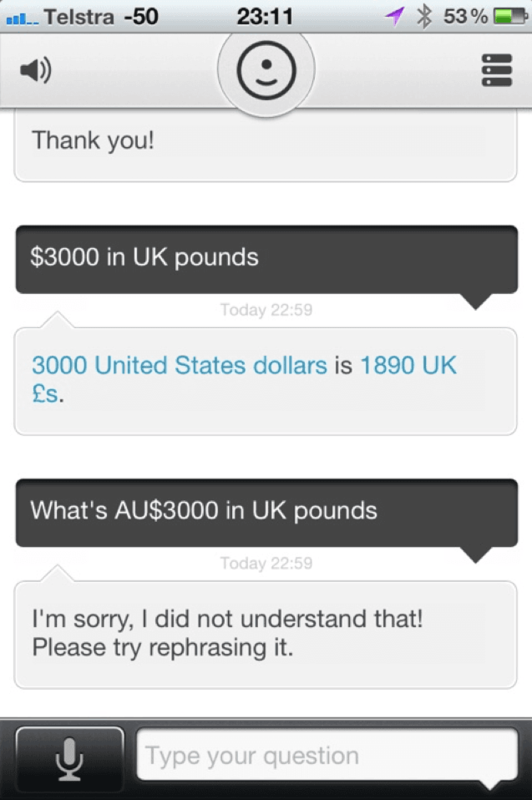 Break your bot — Find out when your bot defaults to the “I’m sorry I do not understand you”? Find out how many steps it takes to get to the customers desired answer. Test your bot by asking the question several different ways. The more you break your bot the better it will become. Once you find your bots weaknesses, go back to your coders and work on it. There is never too much testing, a bot that doesn’t work is a liability, not an asset. Testing the bot internally is great, but they are still likely to miss errors. Weeks or months of development is likely to induce some tunnel vision. Get people from different departments to test the bot. They will find different pain points from the perspective of their own departments. The larger the pool of people involved in testing, the larger the pool of personalities and perspectives you can test your bot against. It’s especially important to get the most impatient individuals involved. Aside from pointing out specific flaws always ask your team for general feedback and suggestions. Go through a feedback round with the developers to ensure you have the most efficient ways to deal with maladies. Don’t forget to involve the top management in testing and feedback, they have a multitude of experience and are best placed to understand if the bot aligns with corporate goals. Once the testing and iteration are finished, it is time for the launch. But start with a pilot launch to a closed group of selected individuals. You can send invites of the pilot launch to prominent bloggers and your most engaged customers. For customers, this is a chance to fully engage with the brand if they are excited about new tech. Letting them know they’ve been selected for a closed beta will endear them and they won’t be disheartened by glitches. More importantly, they will likely find some new issues for you quickly. User feedback is the most important part of testing. A successful will undoubtedly improve your bots performance, you don’t want to release a Note 7 into the wild. Aggregate all the feedback from your users and fine tune again before you release your Chatbot to everyone. Building a bot can be hard when you don't even know where to start. So we'll just go ahead and tell you to use Google's NLP, Dialogflow. It's free, simple to use, and full of integrations.We'd also suggest to signing up on the Rocketbots platform, also free, if you want to add more features to your chatbot that you can't get on Dialogflow alone. 1 Create an Account: Go to a free chatbot building tool like DialogFlow and make an account. 2 Create an agent: Go to the dashboard, and click “Add Agent” at the top left. Give the agent a name and make sure the agent is in the right language and time zone. Then click “Create”. 3 Create intentions: Create the first intention by clicking “create intent” at the top right, and give it the name “Opening Hours”. Proceed by clicking “Add Training Phrases” and input the expressions you’ve seen customers ask before, and any other expressions you think a user might say to get the same answer. It’s best practice to use a minimum of 20 expressions. 4 Create responses: Click “add response” by scrolling down the page. Then add the store business hours or other corresponding response to your intent. Save the intent at the top right, and repeat the process for each of the other 2 intents. Now the chatbot is at its most basic level, and ready for deployment on Facebook. 1 Connect the Platform with the Agent: Go to the Rocketbots Platform dashboard. Click the plus sign next to the Space list, and you’ll be brought to a window that allows for the connection of the agent from DialogFlow to the Rocketbots Platform. 2 Name the Bot: Give the bot a name, then continue. 3 Choose a Channel: Select a channel, such as Facebook Messenger, and click “Next”. Give Facebook permission to connect if it’s your first time connecting. 4 Select a Page: Select which Facebook page to deploy the bot. 5 Complete the Connection: Add your DialogFlow API Tokens to complete the connection and deploy your agent. You may already notice whenever you use a chatbot, there’s always a greeting like “Hello” pops up right on the second you click on the chat box. But, this is actually the default welcome intent that naturally comes with the agents itself that you don’t have to input yourself. Facebook automatically adds the “Get Started” button to any chatbot that gets deployed on Messenger. As there’s no need for one when the bot is greeting the user for the first time, there are no training phrases inside the default welcome intent. 1 Delete these default responses: Replace them with 3 of our own such as the example as shown below. This can also let the user know what the purpose of the chatbot is, it’s less likely the user will ask it topics that it doesn’t know. When the bot is being asked questions that it doesn’t know how to answer, then it will automatically revert it back to back to the Default Fallback Intent. And here’s how you can adjust the fallback intent response. 1 Edit the response: Editing the response module of the Default Fallback Intent. 2 Change your expression: Change it to “I’m sorry, I haven’t learned how to answer your question. Would you like me to get the human agent to come to help you?” This would give users a chance to contact the human agent. 3 Input your expressions: Input at least 20 expressions in the training phrases module that the user might say to let the bot know they’re interested in having the human agents to cut in and help. 1 Add the parameters to the intent: Add a code that marks the chatbot as “not done” on the Rocketbots platform, which would allow the human agent to know when users are pending for assistance on the platform. 2 Input the values: Type: RB_MARKDONE and set the value as false. 1 Delete the conversation; Delete the chatbot conversation from Facebook Messenger, and start over again. 2 Check the default welcome intent: Now see if the new default welcome intent is working or not by asking the bot a question that it doesn’t know how to answer. 3 Getting the request: A request with the option to contact the human agent will pop up on the screen. Click on it. Then, it would send the human agent a notification on the platform, and via email that we’re looking for help. Check on your side to see if that’s the case. 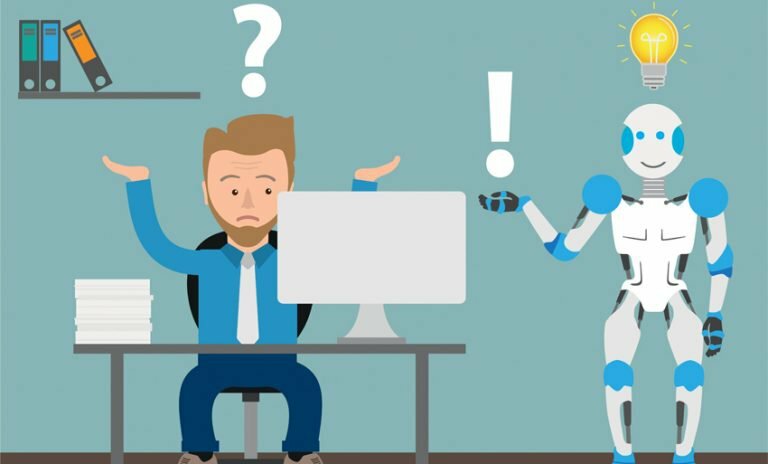 Now you can have an improved chatbot that would lessen the number of errors it can encounter, and a backup strategy that lets the human agents jump in when the bot can no longer answer questions. Congratulations! Now you know how to switch your bot for human agent takeover. In the last lesson, we talked about How to Use Human-Handoff and Get Notified, now you finally reach to the last lesson of How to Train Your Chatbot and Use Broadcasting. In this final section, you’ll get to learn how to train the chatbot and broadcast through it. 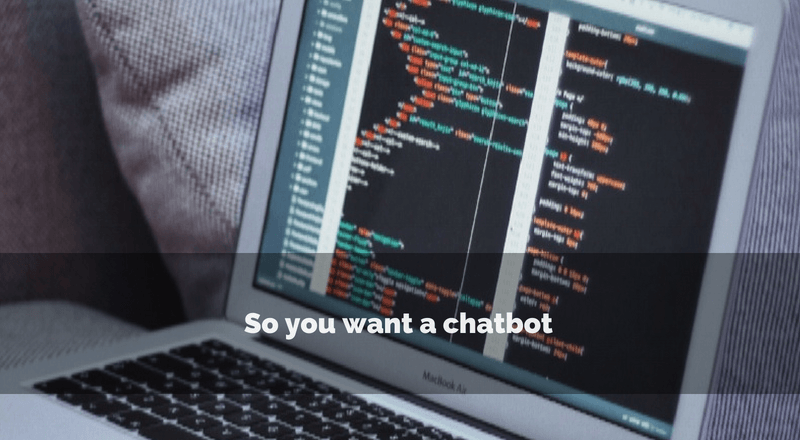 The chatbot that you’ve built in the last two tutorials might can get you to answer customers’ inquiries fast; but there’s one problem – you still haven’t give it the ability to deal with the bot when it comes across questions that it doesn’t know how to answer at all or when the bot give out the wrong response. And the following will show you how to deal with situations like that. 1 Click on the training option to the left: In this menu, there are rows of data. Each row is a single conversation. 2 Click a conversation. You’ll be brought to the sessions window. This is where you’ll train your chatbot. Each line you see here is a single request and the corresponding intent that it triggered. 3 Mismatches: If you see a request that matches the correct intent, don’t do anything. If a request is assigned to the incorrect intent, click the intent below, and search for the right one to assign. If the request was not assigned to any intents, you can click “click to assign” below, and assign it to the correct intent. 4 Double check your corrections before you click approve. As assigning a request to the wrong intent, or approving a mismatched request can cause your chatbot to learn how to make that mistake more often. 5 Click Approve. Give the chatbot agent some time to learn how to train. 1 Start by creating an intent. Use the same best practices as before. 3 Add a parameter to this intent. This can tag users who inquire about fruit deliveries. Click on Add Parameter, and type “RB_ADDTAGS”, and set the value as Fruit Delivery. Remember to save the intent. From now on, when a user asks the chatbot about fruit deliveries, they will be tagged in the Rocketbots Platform with the tag “Fruit Delivery”. You can now use the Broadcast feature on the Rocketbots Platform to update her curious users with updates on deliveries as soon as she knows. 1 Click on Broadcasts to the left on the Rocketbots Platform. 3 Select your channel or channels you’d like to broadcast to. Choose the tag you want to target in your broadcast. 4 Write your delivery update Select Facebook as our channel, and then select the Fruit Delivery tag to target any users who have inquired about delivery updates. Congratulations! Now you've got a fully functioning chatbot more features than you can find on Dialogflow alone. Remember to keep adding more intents as your encounter more common questions, and over time your bot will seem smarter than you! Mark Zuckerberg’s announcement to introduce chatbots to Facebook brought a wave of excitement and anticipation. It was not unwarranted. Chatbots promise to revolutionize communication in all industries. As countless bots are added to messenger daily, how will chatbots add value to a business strategy? 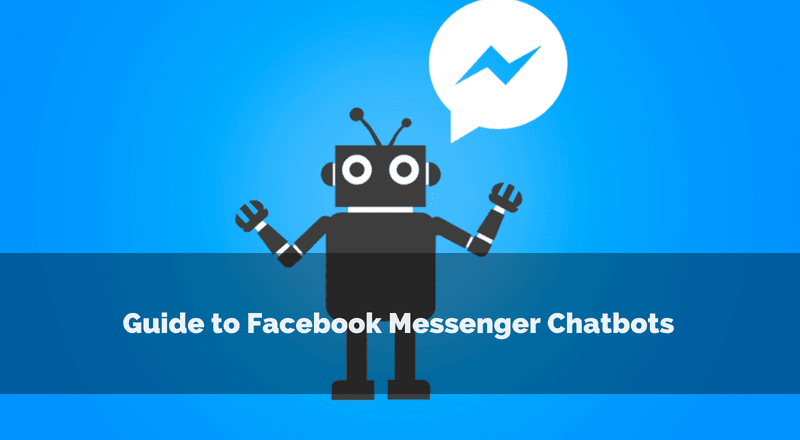 We highlight 7 key ways a Facebook messenger chatbot will enhance the capabilities of your business interaction strategy. Firstly… What Is the Hype Behind Messenger Chatbots? From CNN’s chatbot that delivers news that you are interested in Hello Jarvis which acts as a personal assistant, chatbots serve infinite purposes. Monthly usage in Facebook Messenger, Whatsapp and WeChat surpassed traditional social media platforms in 2015 and thus it makes sense to build your business where the people are. Chatbots serve that purpose remarkably. This makes chatbots a valuable tool in the foreseeable future. Are Messenger Bots the Ultimate Kind? The key to an ultimate Facebook messenger chatbot is to be able to use it to solve an interaction problem by reducing the time or effort a customer needs to spend to do what they want to do. The chatbot should have a clear strategy to do just that. Some might think that a chatbot can be useful for all issues, but this is not the case. Take the example of the online check in process. It is much easier for a passenger to check in and select their seats through the current method as the visual aid of the seat map is much more effective. Thus it is important to establish a clear rationale for implementing a chatbot. Developing a chatbot will never start off being perfect and there are always ways to improve. Therefore start with a single use case and add more as time goes on. It is vital to be intelligent with your messaging. Send messages to the right people at the right time by using your data to drive your interactions. Just imagine yourself as a consumer that clicks an ad, and instead of being directed to a landing page, or being asked to download an app or being confused with where you have been redirected, you are directly linked to chatbot on a native platform you trust, messenger, and through structured messages you can continue the dialog from the ad you clicked. This is the power of a well-developed chatbot. It is the kind of user experience a consumer expects today. Painless, quick and personal. Not only does the Facebook messenger chatbot develop a fantastic consumer experience, it is also economically advantageous. From our tests, we see that costs per click are significantly lower on Facebook ads that bring the user to a chatbot as compared to ones that bring the user to a website or a video. The story does not even end there. The fantastic user experience for the consumer results in higher engagementopening the door for further marketing in the future. Lower cost, higher engagement, and a better user experience speak for itself. Chatbots provide a unique opportunity to advertise. Facebook messenger chatbots give you access to over 1 billion people. With the wealth of data that is available to collect, plan in the development stage for what information you want to gather for analytics. The opportunity to gather data to go deeper into analysis should not be ignored as it can allow you to obtain insights that will optimize all aspects of your business. Gathering more data will enable businesses to target their sales and marketing in a more effective way. As we begin to understand how important the role of big data will play in the future, chatbots have given us the capacity to gather data in a much more comprehensive way. Finally, we can connect analytics to bots, automating the analysis process. If this continues trend continues, chatbots will become all the more valuable and important. Chatbots are your most dependable and available employee. We, humans, suffer from multiple emotions and circumstances that prevent us from performing our best at all times, but that is not a problem anymore. A Facebook messenger chatbot is an opportunity for a brand to engage consumers in almost human levels of conversations. It can provide a personality to the brand through humor, tone, and language which traditional techniques like color, iconography, and logos fail to convey. Chatbots are designed to give the same standard of experience to every consumer, deliver your brand voice consistently and do this at a scalable level, 24 hours a day, 7 days a week. 20% of the most frequently asked questions (FAQ’s) are asked 80% of the time. Questions like these can be programmed to have answers, but not all questions can be answered by a chatbot, they may be too complex. Whilst chatbots are a valuable resource, we know they are not completely perfect, yet. This means that they can also fail to deliver a user’s expectations. If this happens, the messenger chatbot can be designed to connect you to a human being. Our Facebook messenger chatbot has done just that. Not only does this make the chatbot seem more reliable, despite its lack of knowledge, but also provides a better user experience. Users are not left for dead, but helped until they get their answer. You may have picked up on one already as you were reading this blog. In a world where time is money, chatbots can increase the time you have in a day. All of the above points mean that efforts can be spent on more tasks that benefit the business as things like a messenger chatbot answering FAQ’s are being done by the chatbot. Particularly for small businesses, chatbots are a great tool for increasing efficiency and helping staff with their tasks. A chatbot should have the purpose of solving an issue. A number of trends have been predicted to take over the chatbot industry. A key one being that developers will start focusing their efforts on making chatbots more focused and less conversational. Messenger provides multiple ways of interacting with the user that guides them through the entire conversation. In fact, with buttons, navigation menus and a rich bank of templates, the user will type less and click more. 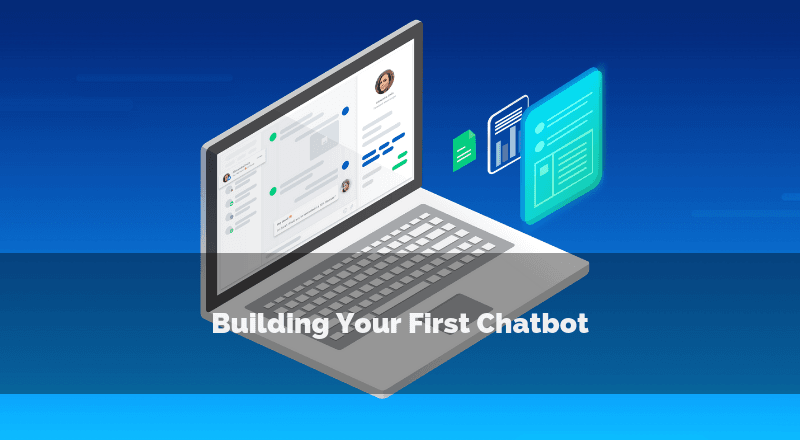 An ultimate messenger chatbot will use these tools effectively to develop a conversational yet structured chatbot that reduces the chances of a failing conversation. The purpose of this is to ensure that users feel more in control and have a better understanding of what to expect when interacting with the bots. Facebook messenger chatbots are powerful as they allow you to do very specialized things. For example, RemitRadar developed a chatbot that allows you to transfer money, find out exchange rates and find money transfer locations over a Facebook messenger chatbot. Cool right? As the big messenger platforms continue to invest heavily in chatbot technology, who knows what the bots will be capable of helping us do in the future. A chatbot can be developed to prompt users to give all the information needed to do the specialized action, which makes it so useful. Facebook messenger chatbots are brilliant and possess a wide range of capabilities that can help develop your business. With the industry growing and learning daily, the 7 key ways chatbots can alter business capabilities are by no means exhaustive. If there is a key to take away from this blog post, it is that chatbots can and will revolutionize communication in all industries. The Facebook messenger chatbot will only make this revolution faster, more effective and full of innovation. The only questions that remain is when and how far it will go. We have high hopes and so should you. 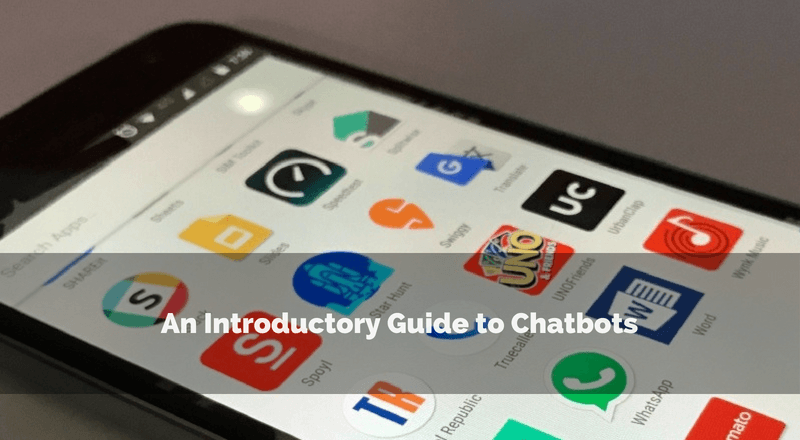 Chatbots permeate different industries at different levels, and it was probably a tall order when we asked you if your business need one in the beginning of this guide. The truth is, chatbots can help any business out, so we've got a nice list of industries that show off some awesome use cases of chatbots, and then we dig a little bit deeper so you can understand where some pitfalls might appear in front of you. The increase of smartphone usage in banking operations and changing customer expectations have driven banks to foster relationships with an “always-connected” tech-savvy customer. Banks are looking at powerful customer engagement channels that understand human language for instant solutions and a longer customer life-cycle. Enter conversational chatbots that serve as virtual customer service agents, assistants and robot advisors for the banking industry. These chatbots are powered by Artificial Intelligence (AI) and Natural Language Processing (NLP) to bring innovation in banking services, address issues of customer satisfaction, and lower the operating costs. With web and mobile as native environments and AI on-the-go, chatbots combine the best of virtual automation and messaging for better banking services. 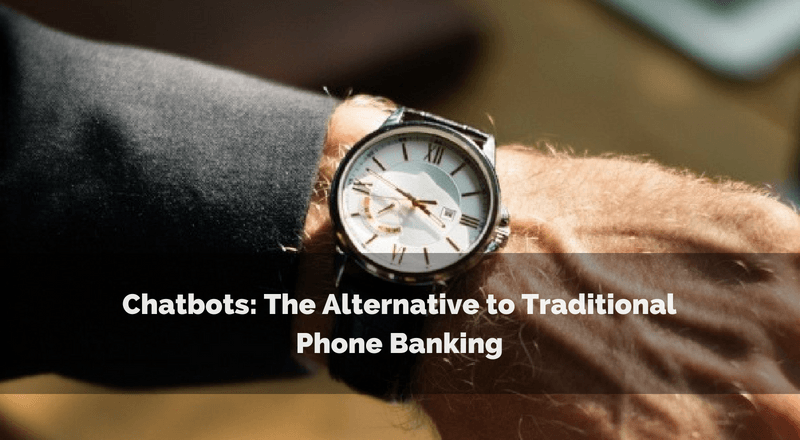 The ability to circumvent lengthy waits and talking around in circles associated with traditional phone banking is central to the popularity of chatbots among customers. Moreover, customers are happy to be understood by the chatbot’s AI engine for a cognitive conversational experience. The automated conversational experience of chatbots has proved to be transformational for both the customer and the bank. Better customer experience and banking product upsells have driven an increased patronage of chatbots in banking. When a customer queries with a phone-banking executive, it involves precious time looking at the customer history to be able to answer questions. Very often, the executive is unable to address the concerns as customer services are usually outsourced to call centers. The customer care executives may not always understand the language or syntax used by the customer or perceive his intent. At the same time, the expectations of a customer unwilling or unable to visit the bank are high with respect to self-service. This results in an unsatisfactory customer experience and even lost customers. With the introduction of chatbots in banking, self-service translates into a better customer experience. The bot is able to understand what the customer speaks or wants and can respond in a conversational manner within a second. Functioning as a chat service, the banking chatbot is able to answer customer queries, assist in everyday banking operations, and provide information related to loans, deposits or financial transactions. What’s more, chatbots are 24/7 on-call customer support with an easy conversational interface, that boosts customer confidence and encourages repeat queries. AI-powered chatbots are able to take charge of routine customer questions related to banking operations, KYC compliance requirements, account opening or card application tracking, banking product information, and after-sales service. Information related to personal savings, home and car loans, card limits, investment advice and more is possible with the streamlined user interface (UI). Thus building a powerful emotional and personalized connect for increased and enhanced two-way engagement. According to a report by Juniper Research, a chatbot inquiry can save about 4 minutes, in comparison to traditional call center services. The banking sector is most suited to the deployment of chatbots with use cases ranging from addressing simple and linear questions to hard-selling financial advisories on a large scale. It is predicted, that by 2022, chatbots will account for more than $8 billion per annum in cost savings. So it is little wonder that banks are partnering with AI and chatbot firms to cut operating costs while opening up other channels for customer acquisition. They are employing chatbot-as-a-service, chatbot platform-as-a-service, and chatbot application-as-a-service, for various banking deliveries. The exploding popularity of messaging combined with advances in natural language interfaces, AI, and machine learning are being leveraged to communicate with customers in powerful ways. Chatbots are conversational: Customers prefer the conversational model of chatbots that are much like the chatting applications they are used to within their personal world. As the two-way flow of conversation is between the customer and the bot, it allows the customer to digest information in bite-size chunks in privacy. Chatbots provide a unified experience: Customers prefer a simple and unified interface for instant interactions, especially the millennials who are always connected in a virtual environment. Whether it’s an FAQ, a self-service transaction or a more complex issue involving multiple steps, a single messaging-based engagement model is the preferred mode. Chatbots are able to provide a unified user experience, integrating mobile lifestyle and applications used such as GPS and biometrics, to have a multi-media conversation with the bank. Chatbots are intelligent: People are busy and prone to multi-task. Yet banking and finance are an integral part of everyday lives. Immediate and useful resolution is the key to a great customer experience, and often the key differentiator in a highly competitive business environment. The syntax-recognizing and intuitive capability of the chatbots is able to answer the customer query instantly at the convenience of the customer. Chatbots have a human choice: While automation works fine on the most frequently encountered issues, customers may sometimes want to interact with a human agent when unable to find a solution. The capability of a bot to automatically switch over to a human, with a complete transfer of context and history, supports customer service for ultimate satisfaction. As mobile messaging applications surpass social networks, banks are looking at this game-changing technology to serve customers in better ways. Customer groomed to a Whatsapp and Snapchat messaging way of life, prefer a messaging support in place of the current method of website search or filling complex forms. Today, most mobile phone and internet savvy users use the bank website for their banking and other assistance. However, all questions may not be resolved. The options available are visiting the branch or calling customer care, both of which are less ideal in a world where we use our phones less like phones. Consider a typical bank working day. The executive manning the help desk is more than often busy, with customers queuing up to ask questions like “what is the process to open an account with you?” and “can I increase the limit on my credit card?” Typically, this involves long waiting time for the customer that he or she has to make up when back at work. For the bank, there is always the risk of a potential customer turning away, put off by the long queue. On the other hand, toll-free customer care numbers usually call for patience as your call is put through. Time is wasted on preliminaries and giving your customer details. So if the call centre person is unable to answer your question to satisfaction, it can be a frustrating experience. However, a customer-facing chatbot is an always available virtual assistant that can be accessed from your computer or mobile device. Chatbots offer the same service at the convenience of the customer, whether at his home, office or on-the-go. No more waiting time. No standing in front of your neighbor asking the bank executive to pardon your late installment penalty charges. No waiting for a working day to resolve your student loan issues before shooting your university application. No asking your boss for time off from work to visit the nearest branch. In other words, with chatbots, you can get the same or even more satisfactory services, instantly, anytime, anywhere, with less stress and effort. As the AI-powered chatbot uses NLP to understand keywords and context, it can offer 24/7 customer service at minimum cost to the bank. Enhanced customer experiences mean happy and satisfied customers, who are more likely to use the chatbot each time they have a question about a loan or investment. A streamlined customer service experience also provides the bank a relevant way to make upsells or recommendations, based on the chatbot intelligence and tailored to customer interests. Chatbots support a two-way flow of interaction in natural language. The built-in capabilities solve problems, answer questions and undertake actions; with greater efficiency and faster turnaround. The chatbots used in banking are powered by machine learning. 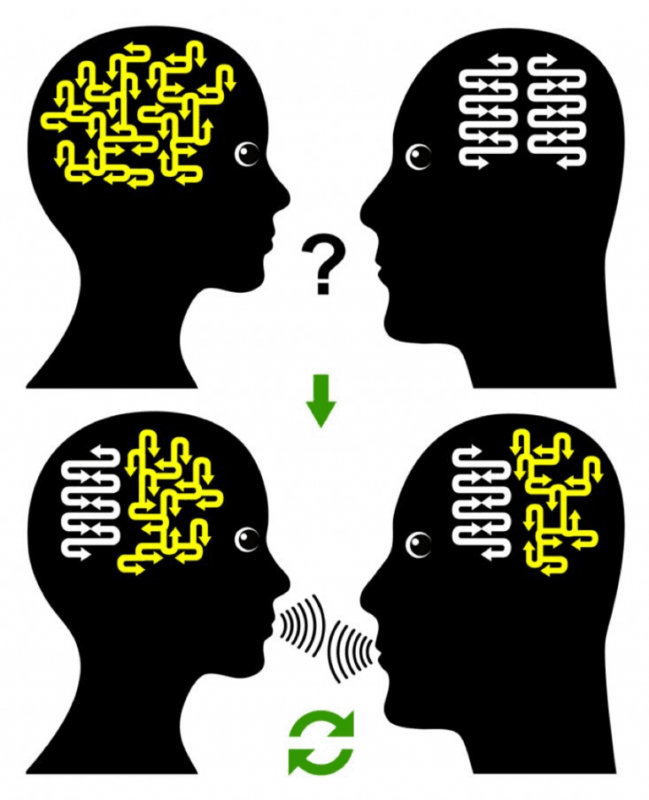 With the use of NLP, they can better understand the language and context of questions and conversations. AI integration makes them more intuitive and intelligent. They are able to understand complex requests, discern context and recognize commands. Chatbots are thus able to respond appropriately taking into account a seamless 360-degree view of historical customer data. Over time, as they interact more and more with customers, chatbots learn iteratively, to conduct more sophisticated conversations for higher customer satisfaction (Cx). Like any other technology powered by AI, chatbots become smarter over time – learning more about the customer, his behavior, transaction history, preferences, financial position, spending habits and more. Designed to serve the digitally connected tech-savvy customer in a single window conversational UI, and woven in an analytic fabric, the chatbot is proving to be the most powerful customer-facing agent in banking. Chatbot deployment possibilities in banking are enormous, ranging from dedicated or app-based chatbot assistants to conversational cloud SAS. Banks across the world are thus deploying a range of chatbots to add a fillip to their service trajectory. E-commerce is one of the most customer-facing industries where direct personal experiences and social conversations define the brand value. With customers spending more and more time on the browser, messaging apps, and social media, it can be difficult engaging with visitors without over-stretching staff. It is a fiercely competitive industry, where the ultimate goal is to offer an optimum shopping experience. Aggressive marketing through social media campaigns, direct text messages, and promotional emails have taken over the e-commerce landscape. In the constant quest for innovation and direct engagement with customers, AI (Artificial Intelligence) driven chatbots have provided the perfect answer to conversational engagement with the customer. According to a report by Gartner, by 2020 more than 85% of customer interactions will be managed by AI without human involvement. As customers are faced with wider choices, lack of differentiation is creating confusion and delaying purchase decisions. By leveraging AI and a voice-based or hybrid conversational commerce, chatbot applications can revolutionize customer service, improve conversions, make relevant recommendations and offer a superior shopping experience. In today’s always connected ecosystem, consumers look towards the internet for their needs of information, social engagement and purchases. E-commerce is based on this very premise of satisfying the digitally empowered consumer. However, the informed customer also has higher expectations of personalized service and instant 24/7 support. The e-commerce chatbots fill the gap with their ability to instantly simulate conversations and answer queries. Unlike other industrial applications of chatbots, in e-commerce, the chatbot can actually influence a unique or first-time website visitor to opt-in for registration and make a purchase, within all of 10 minutes! The lightning-quick automated response to casual queries cements a one-to-one relationship with the customer, much faster and efficiently than humans. This power of chatbots in e-commerce fuels customer expectations for the enhanced shopping experience and longer customer lifecycles. Brand value is enhanced and new markets tapped for more and more product categories. Is it any wonder that chatbots have emerged as a powerful game-changer in an industry where “customer is king”? What Does the E-commerce Chatbot Do? E-commerce has witnessed the fastest and most revolutionary adoptions of the chatbot. The built-in AI can process a huge flow of information from millions of requests at the same time, for meaningful responses and product recommendations. Historical customer data or conversation data is analyzed to improve conversations and customer experiences. The deep learning technology recognizes pictures/images, product names, reviews, prices and so on, to offer instant comparisons to facilitate the buying process. Data sets are constantly refined for streaming analytics and customer intelligence, to provide the correct answers and satisfy new requests. Although e-commerce has many options for customer engagement – contact forms, phone support, email, online chat – the chatbot is the most time-proven and convenient channel for instant answers. Messaging apps help customers to engage with chatbots and human agents. E-commerce chatbots are another step forward, as they render commercial value. So you will come across the CUI in chatbots for e-commerce being referred to as conversational commerce. From the first moment that a visitor visits the website, the chatbot window opens to greet the customer. This is the primary touchpoint for a visitor checking the website or a repeat visitor on his first step to shopping. The chatbot moves on to ask the visitor what he or she is looking for, and how can the bot help. What’s interesting is that chatbots have their own unique names, and they introduce themselves by their name just as any customer support human agent would do. This puts the potential customer at ease and opens up the flow of conversation. The chatbot maps the customer journey for a satisfactory shopping experience, with the consumers willing to let the technology work for them. Chatbots use natural conversations to help speedup up decisions and convert website visits to transactions. 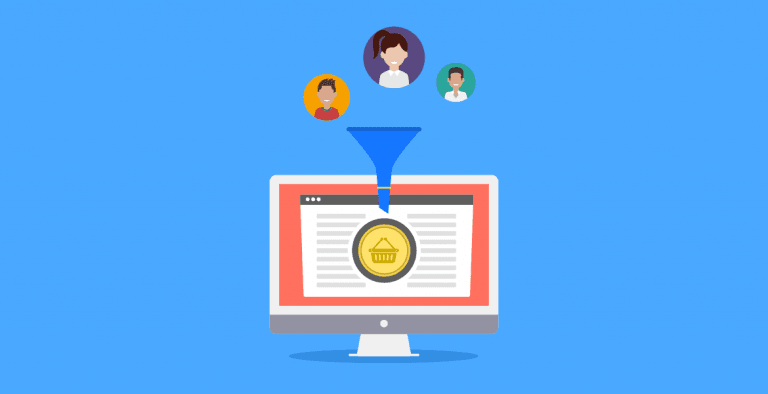 Product suggestions based on the AI-powered customer intelligence result in higher conversions rates. By providing a tailored recommendation on actions and spends, and attribution modeling for conversions; chatbots help ensure a visitor or potential customer is not lost. As the entire process is automated, there is shorter time-to-market, resulting in higher customer acquisition and retention. 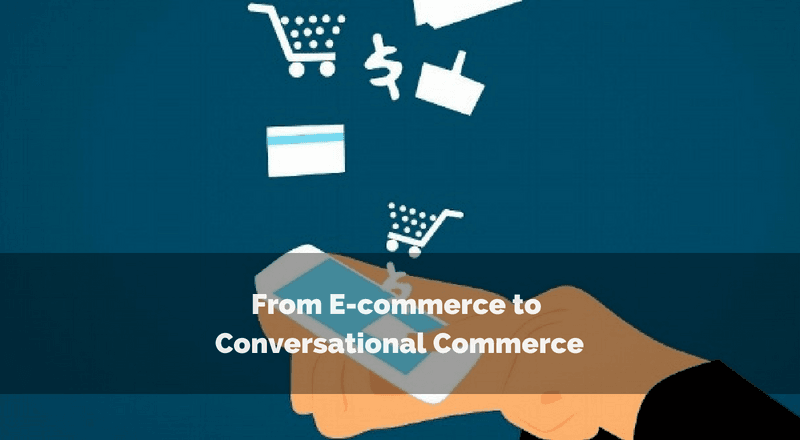 The digitized conversational commerce improves customer experience by interacting directly with the customer at his convenience. Great customer experience equals higher brand perception. Chatbots can also make push notifications based on the conversation – a more personal and effective method when compared to bombarding the customer with irrelevant texts. E-commerce chatbots can deploy the right marketing tools and engage the shopper in real-time across various channels.. By helping the shopper walk the path to sales conversion, chatbots ensure more conversions and sales. Is it any wonder that the chatbot has emerged as the most effective, time-saving and cost-cutting marketing tool in e-commerce? By providing customer assistance for making purchases, and even upselling and cross-selling the product, the chatbots act as salesmen, or should we say sales bots? Based on previous transaction and order history, the chatbot uses conversational intelligence to suggest complementary products that the customer may like while placing the order. With higher conversion rates and lower costs per lead conversion, revenues are higher when using chatbots. Chatbots are the perfect example of AI’s capability to respond to customers based on a given set of rules and functions. With more chatbot integration in e-commerce, the need to have access to multiple touchpoints is being felt. So the newer chatbots are being accessed through text messages, in-chat messaging or built-in messaging apps like the Facebook Messenger. With so many functionalities in e-commerce, you will thus come across dedicated chatbots serving niche demands of e-commerce visitors (we shall discuss this in forthcoming blogs). E-commerce is a very dynamic platform with dozens to hundreds of products added every day, and categories constantly updated. So chatbots built for e-commerce need to deeply integrate the ERP, and CMS with the CRM (Customer Relationship Management) policy of the company. A chatbot’s ability to instantly find whether a product has arrived in stock that day, trace the status of backorders, track shipment and delivery schedules in real-time, is what makes it stand out. Insights feed the cycle of conversions. Chatbots are thus faced with the challenge of providing data-driven insights from the conversations and customer behavior. This helps develop marketing strategies, tap new revenue streams or partnerships, recommend new products, innovate systems, capture fresh markets, and feed the next cycle of product development. 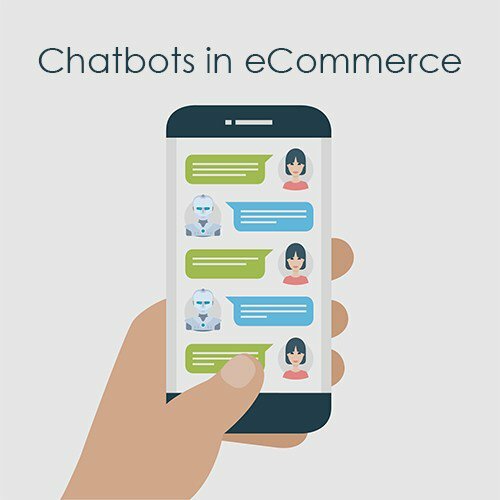 To be an effective tool, chatbots for e-commerce should have a technological advantage or an innovative feature that brings commercial value to the e-commerce company when rolled out. The chatbot window should display past messages, as in the What’s App messaging service. Most importantly, the chatbots should offer an easy-to-engage frictionless and contextual experience. 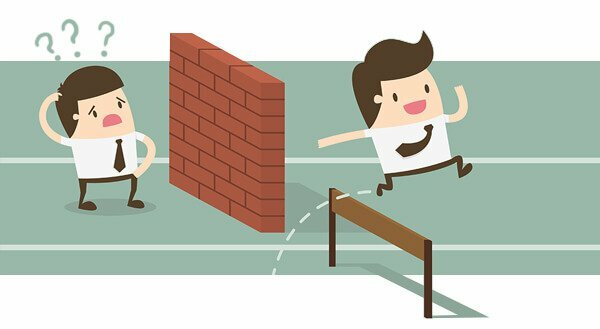 It should do away with first-instant hurdles that make a customer feel stifled. For instance, many chatbots today begin with asking the user’s name, email, and phone number. Often this may seem an invasion of privacy for a casual wannabe shopper, who may close the browser or move away to another website. 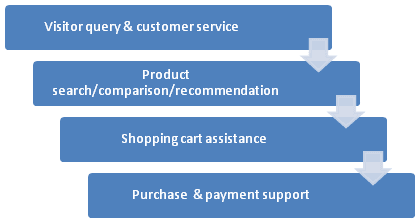 In e-commerce, there exist many fine metrics that contribute to conversions and sales. The use of chatbots as a tool to power sales thus warrants a bot that understands e-commerce, is well unified with the whole system and can conduct chat with the finesse of a smooth-talking salesman! 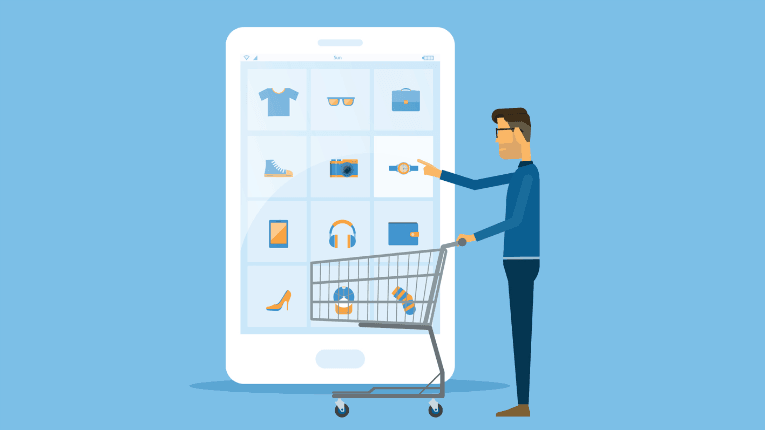 As more customers turn to their mobile devices to chat and shop at the same time, a new trend of mobile e-commerce is emerging. Chat technologies like Apple’s Siri and Amazon’s Echo have paved the way for a mobile user to vocalize his wants more simply on-the-go. The sky is the limit for chatbot implementation in e-commerce businesses. How many times have you wished your insurance company responded instantly? That you didn’t have to wait out the weekend to file your claim or satisfy your demand for knowing processing time? If you ever had a car accident or medical emergency over a long holiday, then very likely this will strike a chord. The insurance industry, although a latent adaptor of technology, is in the fast lane of modernization to create new insurance products, services, and business models. With fast evolving lifestyles powered by digital innovation, the nature of risk and insurability is also changing. This has compelled traditional insurers to reinvent and respond to competition, by focusing on unmet consumer expectations, cost reductions, new services and more insurance coverage. The search for the ideal platform for customer engagement has led to the adoption of AI chatbots. Chatbots offer an instant 24/7 conversational platform for customers to satisfy their queries and register their claims. The intuitive and natural interface of the AI chatbots is found to provide efficiency across the insurance value chain – in healthcare, property, casualty, and underwriting. The insurance chatbot is a robust application of Artificial Intelligence (AI), Natural Language Processing (NLP) and conversational User Interface (UI). These underlying technologies automate customer touch points to answer questions and provide instant support for any issue faced by the customer. The NLP capability is able to understand the language and context of customer problem and interact intuitively with a meaningful personalized resolution. Additionally, chatbots explain complex insurance products to customers; drive brand engagement and improve sales. According to the 2016 report, The Future of Insurance, the biggest threat to insurance businesses is the threat of new entrants, as perceived by 80% insurers. In such a highly competitive landscape, the customer becomes the most important stakeholder. The ability to engage satisfactorily with the end user assumes utmost importance. With the AI-driven chatbot, insurers have a powerful medium of customer engagement for higher brand value, longer customer lifecycle and greater customer satisfaction. The traditional method of using auto email responders, automated text messaging or IVR based phone network for customer engagement is thus fast being replaced by chatbots acting as 24/7 virtual assistants. As the chatbot adoption in insurance gains momentum, insurers are finding additional use of chatbot conversational data. Machine learning is used to learn iteratively and leverage analytics to make data-driven changes to policies and risks. Historical data is also used for product upsells, pushing customer notifications and insurance leads, making the chatbot an additional channel for sales. The insurance industry works on an intermediary business model where brokers and agents bring in most of the business. So the insurer has low direct customer engagement. The agent’s role is mostly restricted to securing a new sale or insurance policy. He may not always be available for post-insurance query. The agent’s interest in ongoing customer engagement is negligible as his commission is received from the insurance company. Thus compared to other industries, customer engagement in insurance is minimal. The lack of customer touchpoints means that insurers have fewer windows for insights into customer needs or the ability to use these insights for data-driven decisions. However, with an evolving marketplace, the desire to become more consumer-centric and enhance personalized services has transformed the insurance industry. As the traditional business model of the insurance sector gets disrupted with digitization and an “always connected” lifestyle, it is being replaced by a digital marketplace that fulfills customer demand with immediate access. This has created a need for 24/7 customer engagement platforms. Customer expectations have changed in recent years. The millennial generation which makes up a significant customer base, are “digital natives” with high spending capacity. They have tall expectations of convenient, transparent, speedy and personalized services. Even before they’ve bought a car, they want to insure against all possible contingencies. They make plans of buying a house and insuring even before they have tied the knot. They have the wherewithal to spend but expect the best in customer service. The evolving customer preferences and expectations are a challenge that the insurance industry is looking at. More and more digital channels like chatbots are being deployed for ensuring good customer relationship management to customers with high expectations. New digital players with low-cost technology platforms and cutting-edge business models are challenging the old insurance companies. Less operational costs, greater risk tolerance, and high brand value are leading to higher returns on investment within a short span. 44% of these insurance tech companies are start-ups with less than 10 employees. Almost all of their operations – sales, customer assistance, claims filing and processing, upsells – are conducted digitally through virtual bot enabled assistants or chatbots. Such a competitive landscape is compelling insurance businesses to innovate and deploy AI driven chatbots. As the insurance industry embraces the chatbot technology for customer service, future risk management policies are also being shaped by data collected at every touchpoint. Customer behavior like nature of queries and frequency of claims filing, response to policy incentives and premium, are analyzed for managing risk, policies and potential insurability. The insurance industry is aware of the most critical problem, that 30 % customers do not have a positive experience when filing claims. The Capgemini and Efma 2017 World Insurance Report find an alarming drop in positive customer experience fuelled by high digital customer expectations. This gap is being addressed with the use of chatbots for instances ranging from incident management to sales, billing and problem resolution. Customers are allowed to register claims, get e-copies of policies, check policy status or claim status, and locate a branch or hospital. Chatbots are responding to customer queries on health and motor insurance, premium payable for property insurance, and the various clauses that govern each policy. 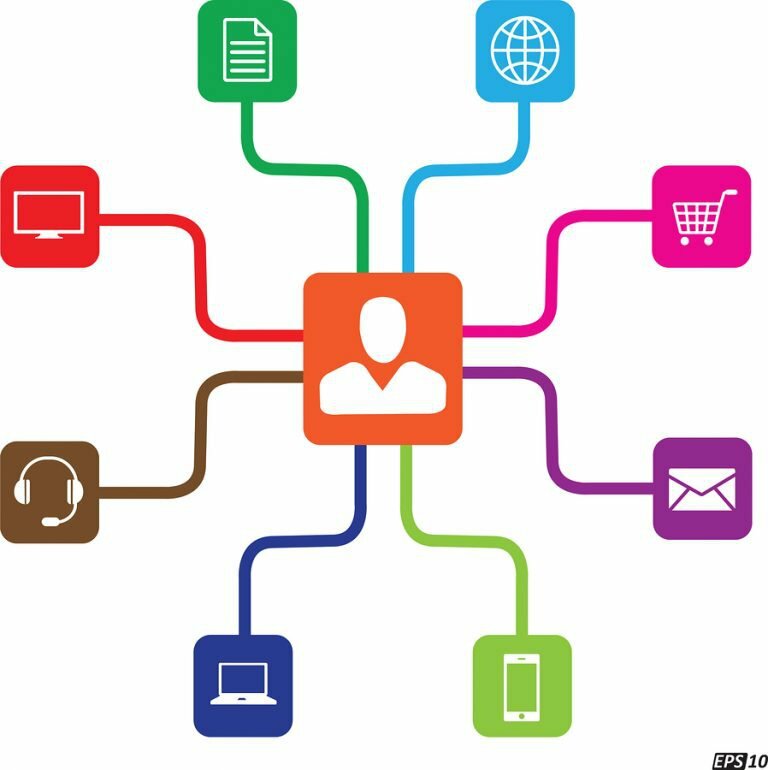 Provide more customer touchpoints – Shaped by experiences in other consumer-facing industries, customers expect more one-to-one personalized trajectory for their queries and support. Chatbots provide just that, with variable touchpoints from 24/7 virtual assistants to bots for specialized policies. Provide better customer experience – An enhanced customer experience is offered with the chatbot drawing on the customers’ geographic and social data for personalized interactions. Insurers are also able to customize recommendations for coverage of specific items and events, known as on-demand insurance. Provide assistance in claim filing – One of the most transformative uses of chatbots in insurance is in claims processing. The long and often tedious processes are simplified with the automated interaction between the insurer and the insured. Chatbots provide assistance to register the incidence of loss, schedule appointment for an evaluation, arrange emergency support during accidents, and offer customized post-disaster assistance. For speedier and customized claims settlement – Automated customer interfaces and virtual claims make it speedier to settle and pay claims while simultaneously minimizing the likelihood of fraud. Leverage the IoT network – The insurance industry is increasing spends on IoT-related technology and solutions. For instance, in motor insurance, IoT telematics or usage-based insurance is used to improve customer experience and satisfaction. In healthcare, wearables and health trackers enable insurers to determine costs associated with an insured’s health. In an IoT network, chatbots can help speed-up settlement of claims, with faster verification of risk management information, in place on costly assessments and audits. More sales, higher returns on marketing investment – Insurance chatbots are able to simulate human conversations with an intelligent intuitive underpinning to understand what a customer is looking for and easily recommend a relevant product. The bot can pull a quote instantly and save time. 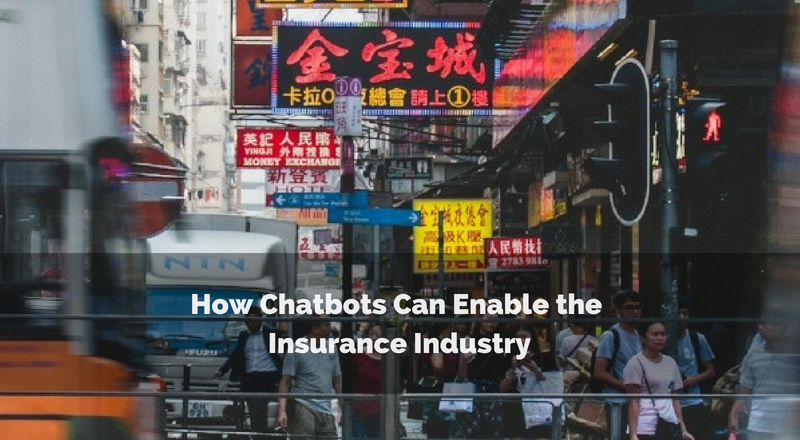 Chatbots also aid marketing efforts by positioning customized insurance products as part of the ongoing conversation. Besides, chatbots can reach huge numbers of customers at the same time, cutting the marketing costs for insurance companies. Act as an automated insurance agent – Agents often lack the expertise or knowledge to handle specific needs of insurance cover, or the unique issues of diverse businesses. They either take time to revert or offer unsatisfactory advice. However, chatbots are highly automated and efficient, able to tackle any customer needs with an instant response. This remarkable ability of chatbots is the reason why customers prefer to book their insurance virtually instead rather than time-intensive human agents. Support automated underwriting – Chatbots offer conversational interface instead of time-taking static web forms. This simplified process gathers data at the same time, which helps perform automated underwriting functions based on the dynamic data. Imagine automating the rows and columns of actuarial spreadsheets using an ML capability, for underwriting insurance! Chatbots are proving to be critical to the future evolution of intelligent customer services in insurance. They are effectively providing customer support with a minimal setup to improve the customer support process. Insurance chatbots are gradually taking over the operational processes of insurance with live streaming assistance. So next time when you make a claim, you may be talking to a robot. From financial services to transport, industry after industry has been disrupted by the advance of AI technologies over the past decade. Yet the healthcare sector has remained largely immune to digital transformation. Constrained by strict HIPPA regulations and evidence-based protocols, hospitals have traditionally built their strategies around supporting the medical professionals that are responsible for administering treatments rather than the patients themselves. This has led to a healthcare system that is extremely difficult for the average person to navigate. Patients routinely face problems finding in-network providers and often have to put off urgent procedures as a result. Even when they do manage to get timely treatment, complex insurance paperwork combined with and the looming threat of hidden out-of-pocket expenses can make anybody dread the entire process. With these issues in mind, it’s no surprise that healthcare ranks as the second most unpopular industry in America, behind only the legal sector. In recent years, the balance of power between doctors and patients has been upended. The rise of accessible, highly personalized online services like Amazon and Uber has changed the operating landscape for businesses in every industry. Digitally-savvy consumers now have all the tools at hand to seek out the products and services they want at the lowest possible prices, and businesses are scrambling to keep up with the heightened expectations. For healthcare providers, these shifting trends have meant a radical rethink of objectives. Increasingly organizations are looking to put customer experience at the very center of their decision-making. This requires a much greater focus on transparent communications, with personalized support offered through digital and analog channels across every stage of the patient’s journey. It also means that hospitals and clinics must find some way to collect and employ the vast reams of patient data that flow through their systems on a daily basis. AI-enabled chatbots offer the perfect solution for these businesses, not only are they able to engage visitors across a variety of digital platforms but they can also be used to create a real-time record of patient preferences that covers their most commonly cited healthcare issues. As a frontline tool for healthcare, few technologies offer as much potential as chatbots. These conversational interfaces can be trained through machine learning to recognize common symptoms for a wide range of medical conditions. Insights can then be used to help patients filter through possible reasons for their medical concerns. While chatbots should not be used as a diagnostics tool without professional oversight, they can serve an important function in guiding patients through the initial triage process. This can also help individuals understand whether their complaints require urgent follow-up or whether their symptoms are likely to resolve on their own. The great thing about chatbots is their accessibility, unlike doctors they can be made accessible to patients round-the-clock, so when urgent issues pop up, the hospital will be available for patient assistance at the touch of a button. If expert assistance is required, chatbots can put patients in touch with appropriate medical care providers in a seamless fashion. Your.MD is a great example of this kind of chatbot. This UK-based mobile application brings together information from a massive library of medical literature. The resulting insights are then checked and verified by qualified doctors before being integrated into the service. 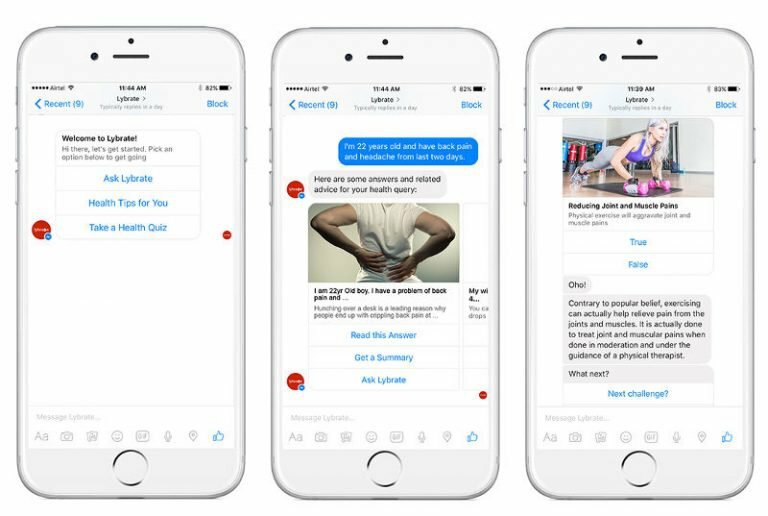 The chatbot references this database of knowledge to ask users a series targeted questions about their physical condition until it can relate their symptoms to a single condition. Once the probable cause is identified, patients are provided with a vetted list of relevant healthcare providers that can resolve the issue. Your.MD digs into the client’s info based on the conversation, and can direct the user to the most relevant service where they can then book an appointment themselves, driving down the guess work from the patient’s side of a sometimes painful booking process. This is especially useful when physicians may take time to refer patients to professional after professional. Your.MD can train itself from user input, and matching their supposed symptoms to their voluminous library of symptoms and their corresponding documentation, so that it can give the most relevant intent response back to the user. Sensely is another early diagnostic tool that positions itself as an all-around medical assistant. This chatbot uses a similarly vast array of medical literature to understand and interpret user symptoms through speech, text, image, and even video. These diagnostic capabilities can be further enhanced through easy integration of electronic health records. This helps hospitals to monitor and manage patient care, even outside the traditional healthcare environment. These chatbots might prove to be especially effective in treating patients with less socially acceptable conditions such as mental illnesses and STDs. Chatbots offer a judgment-free environment where users can express their concerns without fear. Chatbots like Florence are more focused on providing users with the necessary capabilities to take control of their own healthcare. Florence provides patients with regular reminders to stay on top of their medication regime and offers additional pharmaceutical information on side effects and alternatives wherever possible. The aim here is to ensure that patients complete their prescribed treatment courses so that symptoms don’t reoccur. Florence also offers a variety of health monitoring features that patients can use to track their vital statistics, mood, and physiological functions. So that users can take proactive steps towards their own healthcare. In time, more advanced versions of Florence may be able to cut down on the number of doctors visits altogether. Of course, chatbots are generally known for their use in frontline customer handling. From site navigation assistance to troubleshooting, conversational interfaces offer a range of capabilities that can help to streamline sales and support. In the healthcare industry, chatbots could eventually be used for scheduling, re-scheduling and canceling appointments, obtaining prescriptions, or assessing costs for specific treatment options. These capabilities are currently somewhat restricted due to HIPPA regulations, but once the data security concerns have been addressed there’s no reason why chatbots won’t become a key part of patient administration in the future. There a lot of healthcare scenarios where patients may deal with regular concerns for long periods after they have received initial medical assistance. For example, a first-time mother may have a number of questions after pregnancy involving the proper care of her child. She may be concerned about the baby’s health, their sleeping/eating routines or she may have questions about the baby’s development. While these questions are certainly important, they usually don’t require personal intervention from physicians. In this case, a specialized chatbot could provide the necessary expertise to satisfy outpatient concerns. 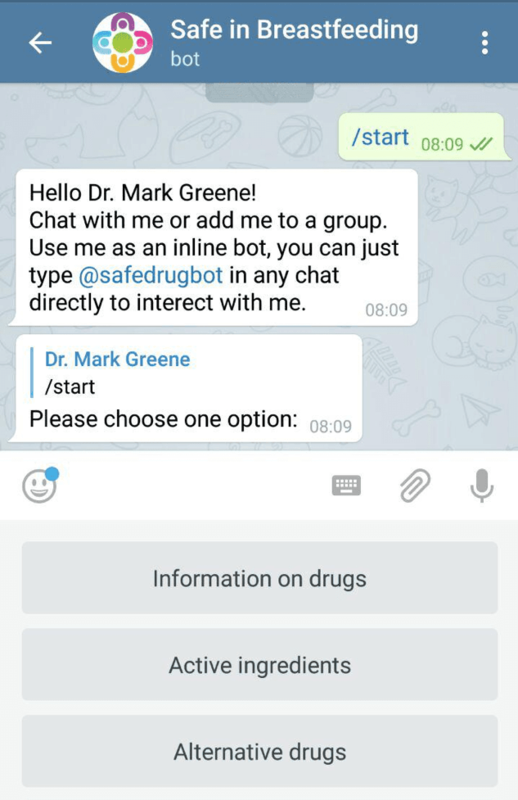 Safedrugbot is a mobile application that has been developed along these lines. The chatbot helps doctors monitor the side effects of drugs that are prescribed during breastfeeding so that new mothers can stay fully in control of the health of their baby even as they get correct medical treatment. Over the past couple of years, AI-driven conversational software has revolutionized the way that users interact with businesses, devices, and applications. In a digital world where people are increasingly looking for more personalized experiences, these smart technologies give businesses in every industry the ability to provide tailored services to every individual without the need for cumbersome forms and menus. With an unprecedented volume, variety, and velocity of data moving through the modern enterprise, machine learning helps to transform wide-ranging inputs including purchasing histories, browsing preferences, and customer details into actionable insights that can enhance front-end support and communications at every level. Today, at least 91% of teenagers use the Internet on mobile devices while a further 92% indicate that they going online almost daily. When these digital natives engage with information, their first instinct isn’t to check pamphlets or to call customer representatives, it’s to access relevant information through their laptops, tablets, and smartphones. For institutes of higher learning, these trends simply can’t be ignored. Students going through the complicated process of admissions, enrolment and class registration will have a gamut of questions that require immediate attention. Any institution that wants to effectively address prospective concerns about everything from financial aid and tuition fees to academic schedules and on-campus housing needs to do much more than just create a functional website and social media account. Texting is by far, the dominant means of communication for 18-29-year-olds in America. As of 2015, the total user base for messaging apps surpassed the number of active users across all social media platforms put together. These tools offer a few key advantages over phone calls and social media. A messaging platform allows you to choose when you communicate, and who you talk to. You can plug in other forms of media to create a more interactive experience. Conversational history is easily referenced. Conversations can be sustained across multiple devices without issue. Unfortunately, most universities still rely on emails, phone calls and direct mailing for the majority of their marketing and student administration. These time-consuming processes are especially inefficient during admissions season. As thousands of prospective students initiate inquiries through online and offline channels, college departments are forced to answer each one manually in an effort to grab as many top-tier applicants as possible. This additional workload creates staffing shortages and often long delays in responses. A lack of standardization can also lead to incomplete or ambiguous communications which may dissuade many in-demand prospects from following up with a particular institution. There’s even a name for this phenomenon, “summer melt”. The phrase describes situations where students accept an initial enrolment offer from a college but decided not to show up once the summer semester actually gets underway. 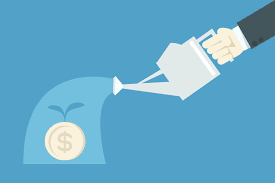 Summer melt is particularly common amongst teenagers from low-income families who are often left overwhelmed by a complex enrolment process that involves several financial disclosures and documents. Chatbots bring together a vast array of knowledge from siloed information systems across the enterprise architecture. These insights are then filtered through natural language processors (NLP) that are able to understand written language and the intent behind specific questions. Chatbots make use of these capabilities in a variety of ways. They can respond to multiple queries in one sentence, remember details from previous conversations which are applicable to current user concerns, and even volunteer proactive information when words or phrases indicate a certain trend. 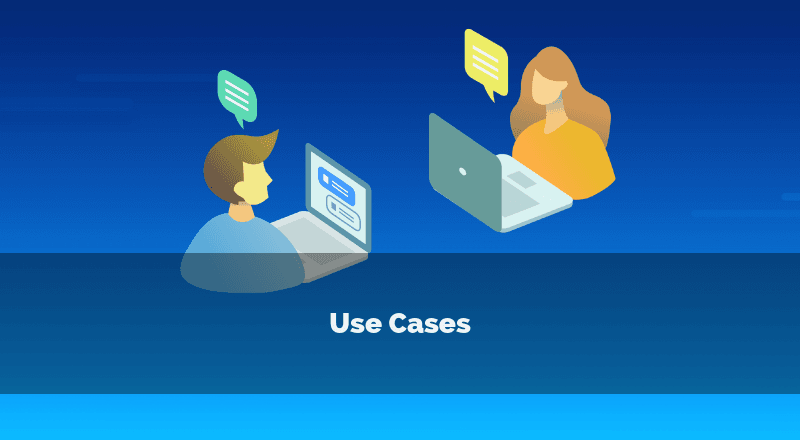 Thus, chatbots can support and improve upon many of the services offered through university websites, social media accounts, and marketing departments. While most chatbots struggle to deal with general conversation, they are perfectly suited to offering critical information in specialist subject areas. By implementing a chatbot on university websites, social media messengers, and even messaging apps like WhatsApp, universities can provide targeted support to existing students, high school applicants, international candidates, transfer students, and mature prospects. Chatbots can help streamline the admissions process. Instead of searching out the right information from a variety of resources, interested applicants can simply direct their questions towards a proprietary university chatbot. This sort of personalized support will be particularly helpful when it comes time to fill out all the paperwork required for admissions and enrolment. From entrance exams and school transcripts to referral certificates and FAFSA forms, chatbots can help students complete and submit each of these documents. Whenever a student has more specific concerns that are beyond the chatbot’s scope of knowledge, they can always set up a detailed ticket which a live representative can pick up and take over. In late 2015 Georgia State University was dealing with a rapid increase in summer melt. Abandoned enrolments had grown from 12 to 19% in just a few short years. To tackle these growing concerns, the university implemented a new chatbot called “Pounce”. Pounce was accessible through any Internet-enabled device, and the virtual server was available 24/7 through the university’s redesigned admissions portal. By April 2016, the chatbot had received text messages from over 3000 students, and 63% of these had engaged with the chatbot on more than three occasions; 94% of these users recommended that Pounce is introduced on a permanent basis for future enrollees. As a result of this widespread support, Pounce managed to reduce melt rates by 22% which translated to about 324 additional students in that year’s incoming freshman class. A 2016 survey from software services provider Ellucian showed that 98 percent of higher education students are more than ready to volunteer their personal data if it will help improve their college experience. Most students are familiar with the type of tailored services offered through companies like Netflix and Amazon, and they’re looking for a similar level of personalization from their universities. For their part, higher education providers can integrate CRM systems into their chatbots in order to leverage the wealth of student data made available throughout the admissions and registration process. Chatbots could then use this data to provide focused guidance on course selection, class scheduling, campus navigation, extracurricular groups, student events, financial aid and tuition payments, internship opportunities and more. These features will familiarize new enrollees with the academic environment and overall campus culture of the university. From the universities perspective, these tools can be essential for engaging otherwise disconnected students and helping to foster a more connected campus. Last year the Technical University of Berlin introduced a new chatbot by the name of “Alex”. Alex answered a range of questions about class timings, course professors and examination schedules in natural-sounding sentences, and even allowed asked follow-up questions to really understand what the students concern. After testing Alex’s information retrieval capabilities against the University’s existing systems, researchers found that the chatbot significantly reduced the number of steps required to find relevant details. Chatbots can also be used to engage students and make them more active participants in learning and teaching. Educational advisors at BI Norwegian Business School implemented a new university chatbot called Differ. The learning management tool was aimed at helping underperforming students complete assignments, and the intuitive interface also encouraged more collaboration on class discussion topics. Not only could the chatbot answer a range of questions about specific assignments, it could also be used to initiate discussion prompts and make proactive recommendations for potential assignment topics and suggest helpful resources for particular projects. After implementation, statistics showed that Differ garnered up to five times the student engagement of normal discussion posts put up through the University’s online portal. Researchers posited three main reasons for the success of the chatbot. Differ allowed students to seek out assistance privately without alerting the entire class. The chatbot allowed students to seek out assistance according to their study timings. The non-judgmental nature of the chatbot ironically invited more engagement from the students, as they were not embarrassed to ask more basic questions about the study material. It’s a Sunday morning and you’re chilling on your hotel bed in the Maldives trying to figure out what amenities they have at this massive resort that you’re staying at. Instead of getting up and calling the concierge, you pull out your phone and by exchanging a few messages with the resort chatbot you already found information on what they serve at the best restaurant at the resort, a detailed map of the pool deck and where you can rent towels. The hospitality industry is an industry where success is directly correlated to service, and professional service is demanded 24/7. Instead of just providing answers to questions, deploying a chatbot allows companies to be creative and add in other details such as a cool video or picture that promotes more services and products that could delight the customer. Chatbots can make a customer’s experience personal and allow humans to focus on more time sensitive and sophisticated tasks. If chatbots are successfully implemented they can help hotels in reducing costs, guest services, and efficiency. Advanced chatbot features like Parametric Codes allow chatbots to be tailored to specific room numbers. A chatbot that knows which room the guest is staying in will be able to deliver room service menus to the guest, and then once a guest selects a meal, the order is then provided to the kitchen, and subsequently delivered to the room. The guest can do this while on their way back to the hotel so that in a reasonable amount of time, the food will have arrived at their room by the time the guest gets back. In the era of continuous connectivity and high-speed travels, the competition in the travel industry is growing exponentially. 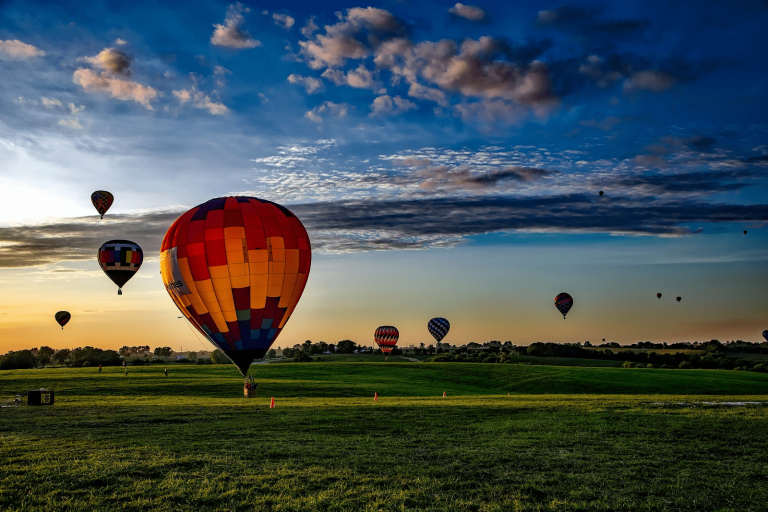 Cheap flights are always in demand and are becoming more abundant. Using chatbots are proving to be a way companies can get a leg up on competition and also provide a more convenient way for customers access. How can an emotionless program have a meaningful connection with human beings? Chatbots promote relationship management. By pre-training, chatbots can supplement an entire travel experience by making suggestions based on user preference and adding automated pre-arrival reminders. In a study by Retale, about 60% answered “yes” when asked if they have ever used a chatbot. While 53% said they were interested in those who hadn’t tried a chatbot. Which suggests that humans are curious about chatbots and don’t mind giving it a try. One of the biggest issues that companies in the travel industry had to deal with before chatbots were implemented years ago was that the hotlines were always busy and customer representatives didn’t have the time to reach customers in a timely manner. However, since chatbots were successfully integrated, customers can now manage their bookings in a much more straightforward way. 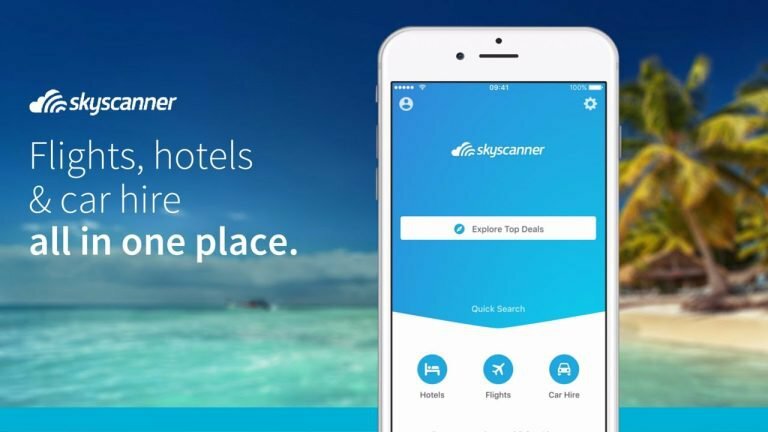 Skyscanner is one of the earliest to adopt conversational search in travel booking. The director of the company viewed chatbots as one of their priorities to make traveling more easily accessible and fun. 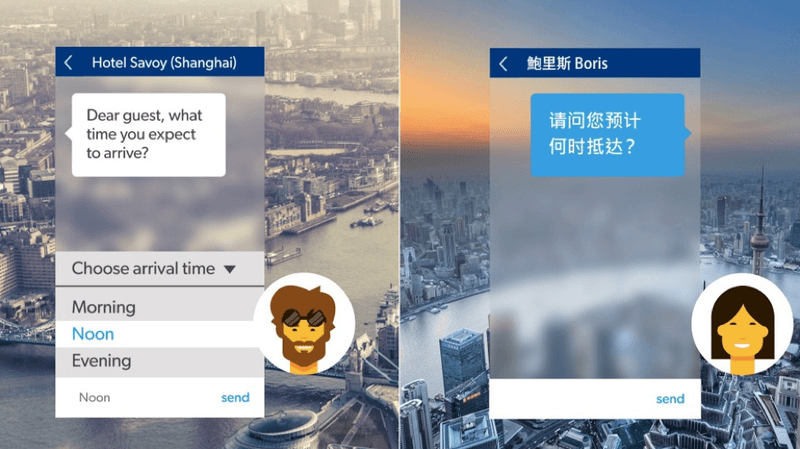 Their chatbots respond to user’s travel queries where users can follow a link to choose the travel itinerary and the chatbot will provide a link to purchase the flight tickets. 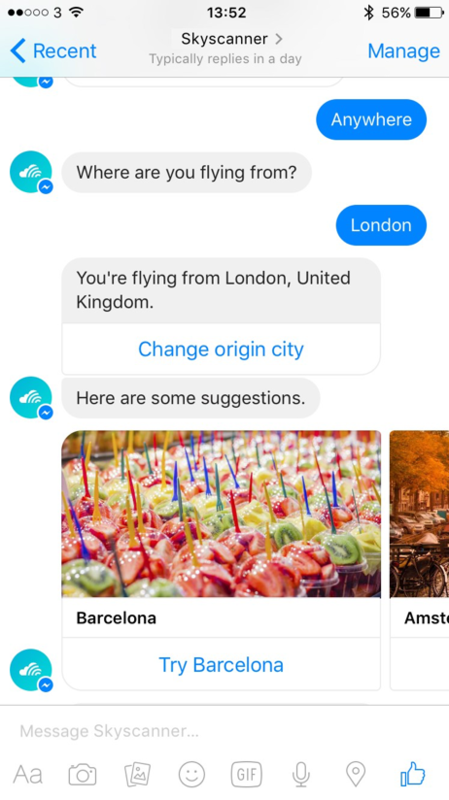 Where Skyscanner’s chatbot separates itself is how Expedia uses their flights API data to provide suggestions when the user is unsure. At any point during the conversation, the user can simply type in “Unsure” and the chatbot will begin making suggestions. Kayak’s chatbots present a way to make traveling simple and their services more accessible to consumers. Their cross-platform messaging service allows the users to pick from facebook messenger, slack, and Alexa skill. After exchanging a few messages, the chatbot will provide information on the estimated cost of travel, generate links for booking and shows a list of locations that are within a specific budget. Booking.com uses their booking assistant chatbot to help answer customer questions. Their chatbots have a 30% success rate for answering hotel related questions in 5 minutes. It’s programmed to answer frequently asked questions on payment, date changes, transportation and internet availability. They have a unique feature in how they allow the user to initiate conversation involving their account and allows the hotel to send notifications to the messenger. They were only able to offer this feature recently because they built their platform without going through a third party such as Wechat or Facebook. Expedia connects its chatbot to Skype, being the first bot experience on Skype. Expedia was also the first in the industry to implement a chatbot on the video chatting platform which will connect a traveler to a call agent and let customers search for and complete hotel bookings. If you ever come across a task that the chatbot could not complete, they will connect you to a live Expedia travel representative. By being one of the first companies to use a skype chatbot and collaborating with Microsoft as an early Cortana partner skills kit partner, Expedia has already gotten an edge on its competitors. A notable challenge that companies had to deal with is how frequent they have to deal with people that come in various different countries and continents. The language barrier can cause a lot of miscommunication and a personalized request can be difficult to complete. Although chatbots do not have any emotions, they can create a more individualized offering by messaging in the customer’s native language, and remembering user preference for future reference. They can also adjust room settings at check-in and make suggestions based on your preferences. Having an emotionless machine handle customers does have its advantages, such as how they can go from handling one customer to a million instantly. Chatbots can deal with both inbound requests and outbound messages. Chatbots will be able to handle simple and repetitive tasks and allow the staff to handle more complex requests. Staffing can be a challenge during peak times when lines get too long and wait times increases. This is where chatbots can free up employees and companies to increase customer satisfaction. Companies will need to simplify their booking process so it can be accommodated within a chatbot. Chatbots are still in the development stages and will not be ready to handle a sophisticated booking process until the chatbots are perfected. Chatbots are still error-prone, so it will be a challenge to provide a consistent booking experience. Especially when chatbots fail and need to be transferred to a human being. The transitions will have to be seamless and staff resources will be required in order for companies to provide a great customer experience. Managing guest expectations will be a huge challenge because with fast messaging service comes expectations of the fast turnaround on their requests through chatbots. Customers will expect a 24/7 service that is instant and without much errors. Anything short of customer expectations can even harm the company instead of improving customer service. Although there are still a lot of challenges in how companies in the travel and hospitality industry can adopt chatbots as a digital service, a lot of companies are not afraid to take risks in trying to implement this new artificial intelligence technology. Chatbots can allow them to get a leg up on competitors and increase customer touch points. From a business perspective, a chatbot can allow companies to place their valuable staff in areas that require humans. Firms will be able to concentrate on other areas such as increasing repeat business and strengthening customer loyalty. While from a customer standpoint, they can really benefit from having a more fun and convenient way of booking their travel plans. Chatbots have a chance to make a customer experience as personal as they can make suggestions based on your preferences and break language barriers. When it comes to personalized experiences, few industries can match up to the exceedingly high expectations placed on modern hotels. After years of rapid growth in the hospitality and tourism sector, the landscape was dominated by a slew of mid-range hotel chains that trafficked in generic décors and standardized amenities. These franchise outlets offered low to mid-range travelers a reliable quality of service in almost any location in the world. For a while, this assurance of predictability was enough to satisfy understandably cautious international travelers. But the advent of the internet changed that equation. All of a sudden, guests had the technology to share reviews, pictures, and ratings for hotels in even the most remote destinations. Travelers could finally compare their cookie-cutter accommodations to more authentic local establishments, and find out which one offered the superior experience. These capabilities were only enhanced further, with the introduction of home-sharing platforms like AirBnB which provided prospective globetrotters with a range of personal living spaces that were often just as impressive as premium hotels. Customers were now well-positioned to demand more than just morning wakeup calls and continental breakfasts as part of their hotel experience. As a result, any brand that wished to compete would have to tailor their offerings to match up to increasing expectations. These efforts would have to extend far past the check-in counter, to the various digital touchpoints that customers were using to research and assess hotels. In many ways, AI Assistant can serve a similar role to personal concierges, guiding prospective visitors along each step of their hotel experience. AI Assistant uses natural language processing (NLP) and advanced algorithms to understand the intent and context behind user inquiries. These insights allow chatbots to assist customers in a range of key areas including room booking, arranging dining reservations, administering check-ins and check-outs, answering front desk inquiries and handling room service orders. The ability to offer these services instantly through any digital channel can create some sizeable advantages for any hotel. Statistics show that travelers visit at least 38 different sites before finalizing their vacation bookings. This leaves plenty of possibilities for cancellations and no-shows during the booking process. While a majority of these incidents occur because visitors are looking for better deals elsewhere, at least 10-13% of these abandoned bookings are a result of complicated booking processes and a lack of clear details. AI agents can help to simplify and streamline booking procedures across social media channels, messaging apps and of course business websites. Based on the customer’s check-in dates the hotel chatbot should be able to display the best available room options in terms of prices, amenities, and applicably incentives. These offerings could be further enhanced with pictures, video tours and reviews in order to provide customers with a comprehensive perspective of what the establishment offers, with the ultimate goal of creating a booking through the chatbot window. 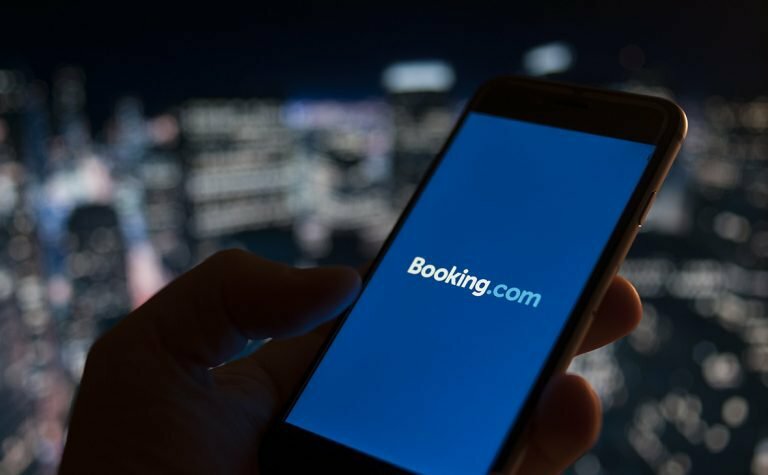 Major booking portals like Booking.com and Skyscanner have already implemented deployed AI assistant that offer similar capabilities. 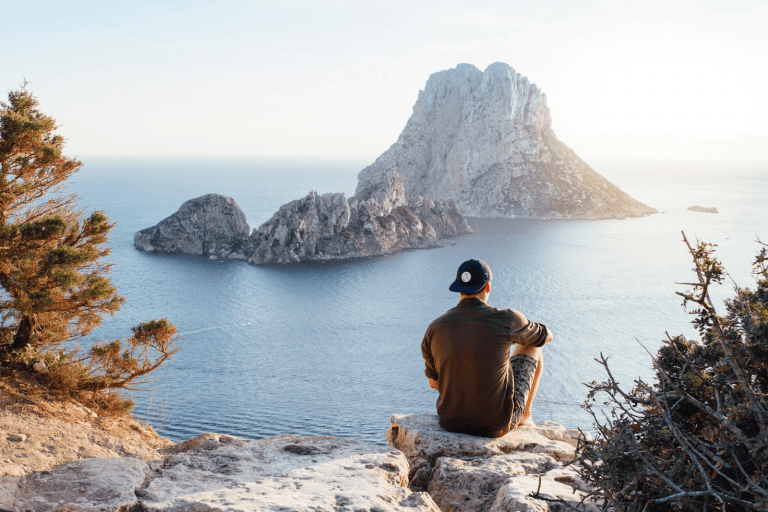 Users can simply communicate their destination and preferred travel dates to the bot through Messenger, and they will receive personalized recommendations that fit their specifications. From the moment that visitors arrive at your hotel, chatbots can help to create a seamless guest management system that provides tailored guidance from check-in to check-out through the conversational interface. The Marriott Mobile App allows guests to use their connected device as a room key which gives them access to their rooms and all complementary hotel services without the need for front desk intervention. After check-in has been completed, these chatbots can provide instant updates when guest rooms become available or when check-out times are nearing. They can also offer helpful notifications for wake-up times, dinner or event reservations, and other time-sensitive activities as defined by the guest. Apart from reminders, chatbots can also be equipped to resolve routine requests for basic amenities such as additional towels, pillows or toiletries. If requests cannot be resolved due to a lack of staff, the request should be ticketed and forwarded to the available employee when possible. Up to 67% of front desk inquiries involve repetitive daily tasks that are incredibly easy to perform. By implementing a comprehensive guest management chatbot, you will greatly reduce the amount of time your staff has to spend dealing with routine concerns and simple administrative tasks; so employees will have more time to dedicate towards actually enriching the customer experience. According to a Hubspot survey, 57% of consumers indicate that the most important feature for AI Assistant is instant responsivity. Whereas customers would usually have to call the front desk with any specific questions, chatbots can be integrated with hotel FAQs to provide instant answers to customer queries. Chatbots can also prove invaluable for hotels with a large influx of international visitors. By making your chatbot multilingual you can ensure that all foreign language requests are dealt with appropriately. Inevitably, fewer miscommunications and more responsive service translate to happier customers. 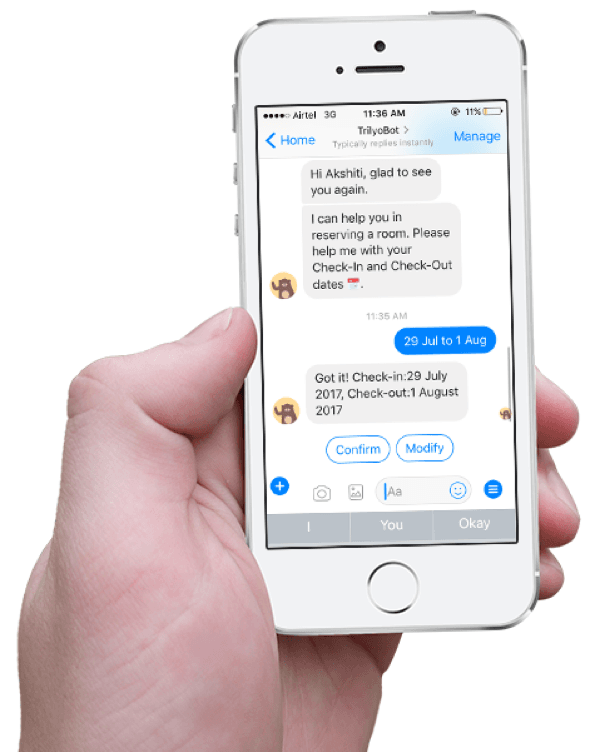 Another front desk task that can be optimized through chatbots is room service delivery. AI agents can be programmed to provide a photo of the room service menu at the guest’s prompting. The guest can then use the screen interface to make their meal order, which the chatbot will then communicate to the kitchen. From there, the chatbot can provide updates on the meal status and a total bill for the items ordered. Many guests want to head out into the streets to get an authentic taste of the local culture and cuisine. Of course, if the guest does not have a clear idea of where to go or the best sites to see then these efforts can prove somewhat frustrating. 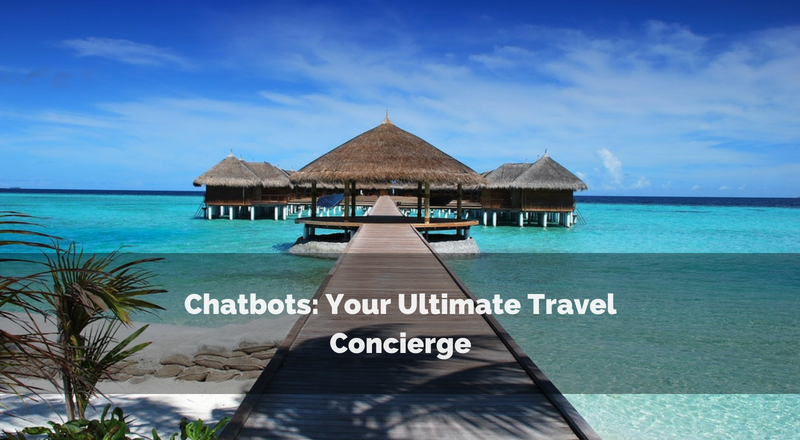 While front desk concierges can provide some guidance in this regard, chatbots offer a more flexible, real-time overview of your travel destination. Recently, the Signature Lux Hotel in Gauteng introduced a voice-activated travel companion chatbot with GPS capabilities and an in-built guide to city attractions. The chatbot could also be used to contact the hotel service staff directly if human assistance was required. So you just received a pair of dress shoes you bought online, you unboxed it and notice that there were two left shoes. What most people would do next is to go through the tedious process of trying to contact customer service where they would either get put on hold or wait several days for a single email reply. In most cases, when you get put on hold you would be talking to someone overseas who does not even work for the company you wish to complain to about. After seemingly an endless amount of holding time, you finally got done talking with the customer service rep and you start to wonder if you should ever purchase an item from this brand again. Which is where having chatbots would be highly beneficial. In a world of conversational commerce, chatbots would be able to provide customer service 24/7. This will not only save labor cost but also streamline the customer experience. When communicating with chatbots, customers will be prompted to input a series of information where the chatbot would then respond with answers that are designed to solve the issue that customers have. The trends in the fashion and apparel industry demonstrate that chatbots are necessary, as there are already a lot of success stories from the brands that we know. However, using chatbots also has some cons because they are still a very new artificial intelligence technology and it will take a few years for chatbots to become flawless. As consumers become more conscious of the way we look, the fashion and apparel industry is booming. There are increasing amounts of designers that make their own apparel and they could separate themselves by providing better customer service. We are currently in a world of endless commerce, brands are starting to dish out steep discounts throughout the year, and not just during Black Friday and Cyber Monday, which results in a world where constant 24/7 conversation platforms between brands and consumers are necessary. Retailers are starting to shift their focus from stores to e-commerce, as large department stores all around the world are shutting off their retail stores as they found that most of their sales are coming from online shoppers. For example, Macy’s plan on closing 68 stores while Sears also plans on closing 42 stores in early 2017 alone. Although e-commerce in the fashion and apparel industry and growing rapidly, a lot of companies do not have a strong online support system such as when there is a problem with an online order or when there is a problem with the stock count. Imagine a world whereby sending a few messages to your favorite clothing brand you can not only find out the story behind how the company started but also get a rating on how your outfit looks before purchasing the product. All of this is suddenly made possible with chatbots. Chatbots can provide customers with a one to one customer service experience where the chatbot will exchange messages with the customer when the customer asks a question. Levi’s shopping bot acts as a virtual stylist which allows the customers to find their desired pair of jeans by asking for the customer’s desired fit, wash and even compares the fit with other jean companies. Levi’s chatbot is available on both their facebook messenger and their website which makes it accessible for different kinds of shoppers. This one-to-one service comes close to replicating how a retail experience is and demonstrates how chatbots can save a lot in labor cost while providing a more convenient way for shoppers to buy. 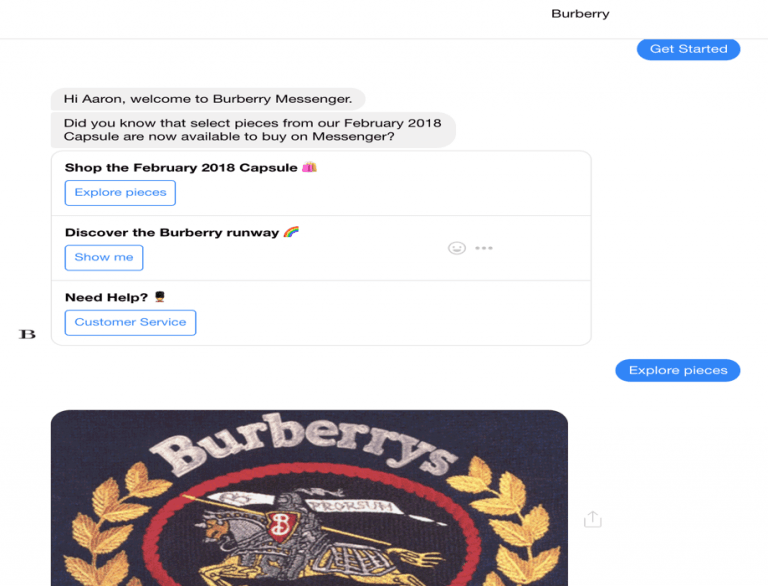 Burberry chatbot is one of the most sophisticated technologies among fashion brands. They not only provide their customers with a chance to buy pieces from their latest collection through their chatbots, but also allows you to connect to a customer service representative, a consultant and store locator. Burberry also does a great job at using their chatbot as a marketing with how they send push notifications to their loyal customers to watch their latest live fashion show through a link provided by their chatbot. Aerie by American Eagle Outfitters is another clothing brand that has been successful with using chatbots. It makes a lot of sense for them to implement this new technology because their target audience is usually 15-24 year olds. Aerie specifically selected Kik as their chatbot platform allows users to browse products based on personal preference. However, they are able to provide a unique feature in the THIS or THAT option. There were immediate results within weeks since they launched their Kik chatbot which acquired more than double the monthly users across all of Aerie’s social media platforms. Even though chatbots are being successfully implemented for a lot of fashion brands such as Burberry, Levi’s and Aerie, they are still a product that will take a while to perfect. Chatbots are very helpful in providing simple answers and suggestions based on the way you design and structure your chatbot. However, when you input information that the chatbot does not recognize the chatbot will become confused and you will end up in an endless loop of questions and answers. If you’re lucky you’ll be transferred to a human assistant, however most chatbots don’t have this feature. However, there are a lot of advantages to having a chatbot for your fashion business. By implementing a chatbot, a company has a chance to save money, increase brand awareness and expand their customer touchpoints because of the Chatbot’s ability to provide answers in a timely manner without having to learn new information. Cost-efficient. Deploying a chatbot is way more cost efficient by enhancing customer service and support so they can impact larger numbers of customers at once. Pre-Trained. Chatbots come pre-trained and are ready to tackle customer inquiries on day 1. Whereas you would have to train a customer service representative to answer questions or respond in a certain way. Increase brand awareness. Chatbots provide brands an opportunity to reach customers on various social media such as Facebook messenger and Kik. It’s up to brands to build a satisfying customer experience to directly to online commerce. Strengthen customer engagement. Chatbots not only introduce first-time customers to a brand but it can also link customers to different brand-related events or entertainment such as how Burberry links their customers to their live fashion shows. Chatbots can make a user’s online shopping experience more engaging and fun. Instant Answers. Chatbots are able to answer questions more quickly compared to an in-store employee. They can strike up a conversation with any customer about any issue at any point during the day and they only give out bits of digestible information at a time. Although chatbots are still prone to errors and are clearly still in the developing stages, they are slowly becoming more mainstream in the fashion industry. Chatbots are proving to be a way for companies in the fashion industry to get a leg up on their competitors with the way chatbots are able to provide 24/7 customer service and increase brand engagement. 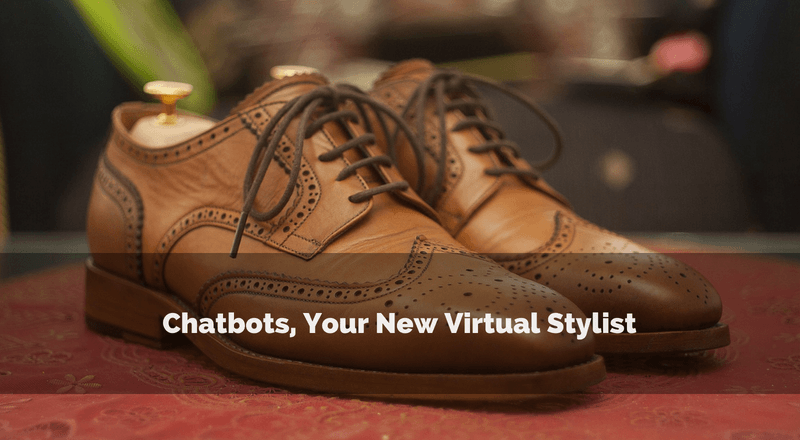 In a world dominated by continuous commerce and the use of artificial intelligence, we can only expect that chatbots will soon be our go-to stylist in the near future. Lately here at Rocketbots we’ve been giving some serious thought to the personality of a chatbot. Not that our bots lacked personalities before, but some of us feel like it’s time to break down how we build personalities and build that process up again to make it more scalable and fun. As you may have seen from our previous blogs, our favorite way to figure these things out is to order some lunch and have a big fight about it. Are Personalities Just for People, Not AI? Individuals low in neuroticism are defined as calm, relaxed, even-tempered and unflappable. The core of extraversion is being emotionally positive. People who are cheerful, enthusiastic, optimistic, and energetic have high extraversion. Agreeableness is associated with love and warmth. People with high conscientiousness are seen as thorough, neat, well-organized, diligent, and achievement-oriented. Openness to new things represents intelligent, imaginative, and perceptive people who are sensitive to art and beauty. More on art later. Simply speaking, a personality is a set of attitudes, emotions and moods through which people perceive the motivations, intentions and goals of an individual. When we try to translate this into bot terms we see, a calm bot can be applied to finance, an extraverted bot is perfect for marketing, an agreeable bot is great in health where trust is required, a conscientious bot can take orders and an open artistic bot can be a fashionista. But that is easier said than done. Another aspect of personality is that these attributes are often changing with time. As a person finds new friends, has new experiences and finally develops those aspects into an internal narrative, a person’s identity can go through a complete transformation. Perhaps this is less relevant for chatbots since only the closest friends notice subtle changes in personalities. What is much more worrying and difficult to replicate in a chatbot, however, is the short term changes in expression. The way you express your personality changes depending on context. Who you are talking to, what mood you’re in, what’s on the news, where you are—all those things change the way you express yourself. So we ask ourselves again, are personalities just for people? To replicate a personality in a chatbot would require the ability to quickly understand the personality of the person speaking to the bot and express itself based on the feel of that day. It would have to develop some interests, follow current events and create a life story with positive and negative experience. Rather than try and build this frankenbot, let’s try and simplify the challenge a bit. All this talk might make it sounds like we are trying to build a human into a chatbot. I assure you we are not. But figuring out why humans interact helps us understand what part of human personality is important in human-chatbot interaction. To make it easier, we generalized human interactions into two broad categories. The first category is: “Just for the heck of it.” Talking to other people is fun; we do it because we find other people interesting. The second category is: “Utility-based.” We talk to people because we have a goal we want to achieve and communicating with other people helps us reach our objective. For the most part, the chatbots we build are for the sake of utility. So maybe we don’t need all the components of the human personality, just the ones human use in utility-based interactions. Could we apply those to a chatbot? Some are easy to replicate in a chatbot; for example, modesty, conscientiousness, and curiosity. Modesty is about using the right kind of language—non-derogatory, respectful, and so on—which comes naturally to us, and will be reflected in our creations. Check. Conscientiousness is built-in as long as the chatbot has the answers to the questions the user has, which is the reason it is there. Check. Achievement Orientation is the fixation on achieving goals and measuring performance. Chatbots have no life, no friends, and no other purpose besides that which they have been programmed for. They’re like Dwight from the American television show The Office: you can talk to them any time of day or night, they don’t take weekends off or celebrate any holidays. And their performance analytics are even more advanced than what most salespeople use. Check. Curiosity is a tough one. The simplest example would be a chatbot that sells only one product category, yet would show interest in other products, and attempt to cross-sell or up-sell. But how do you solicit that kind of discussion without detracting from the main goal? A potential solution might sacrifice achievement orientation. A compromise is needed, but we haven’t been able to agree on what that should be. Yet. Lack of Gregariousness was a surprising result of the HBR survey, but one that bodes well for chatbots. With a text-based dialogue, there aren’t any games, and consumers like that. Check. Lack of Discouragement in sales means that you can bounce back from losses quickly, without being overwhelmed by sadness. Chatbots do not even have the idea of discouragement, so it’s safe to say they do not suffer from it. Check. Lack of Self-Consciousness deals mainly with caring how others view you. Chatbots—in fact, any form of artificial intelligence—haven’t become self-aware. Her, Ex Machina, West World, and others have explored what would happen if they were, but for now, it’s still science fiction. Check. Six for seven is not a bad batting average. If the Harvard Business Review findings are correct, chatbots will be great at sales, even though they do not meet all the requirements to be a salesperson. When you have visual artists in the office—like we do—whether you like it or not, you always have to consider the artistic point of view. Now, I basically never consider the artistic viewpoint, which is why I want to share what I’ve learned. Art is not about the art, perse. Art is about how the viewer perceives it. Without understanding the context of the time and space a piece of art was created, we can’t perceive this art the way people perceived it back then. There are several consequences of this way of thinking. The first is that creating a chatbot, with even the simplest personality, could be an incredibly complex endeavor to achieve at scale. When users are spread across different languages and different geographies, have different political affiliations and different moods. The precision required for a chatbot to get it just right is awe-inspiring to even to imagine. On the other hand, we need only to create the perception of a fully functional personality to achieve the same result as if we had one, and getting the perception right through messaging isn’t as difficult as it once was. Even in human-to-human messaging, there can be a lot of misconception in messaging, but the explosion of emoji use and even gifs allow chatbots to replicate the animatronic features of actual robots with little extra cost. For discussion’s sake, we have our use case—a sales bot—and we know that we only have to create a personality “in the eye of the beholder.” So how do we do it? There are some easier objectives we don’t need to discuss in detail. We build our bots’ conversation flow to push towards an objective. To do so, we ensure it carries out a limited amount of small talk and then pushes users back to learning about products and answering the objections they may have before making a purchase. But how can we make our bot curious? One way is to respond to human inputs in a curious way. But can we do that in a way that still drives the user towards a purchase? The technical team agrees that we can try. We can explore conversations that include a little bit of small talk in each user interaction. Our Salesbot follows the standard sales funnel—needs recognition, information discovery, evaluation, and purchase decision—so it may be easier to break down the appropriateness of small talk by stage. Let’s just consider one stage: information discovery. In the information discovery phase of the user journey, our chatbot would respond curiously to a customer’s questions about the product in discussion. From the development side, that would mean creating a list of semi-generic questions to ask the user. Likely these would revolve around why the user was seeking those kinds of attributes in a product. However, this would get repetitive and boring for the user after a while, so creativity is required to ensure a similar question can be asked in many seemingly different ways. As the response would be largely unpredictable, we would likely use something other than context to respond in a relevant way their answer. Our bots’ response would likely be based on two factors: user interests and sentiments. Interests would have been collected in the needs recognition stage, and the sentiment—essentially, is a positive or negative emotion being expressed—will be analyzed from each of the user’s responses. User interests would enable us to respond in a context that is interesting, which would hopefully stop the user from being annoyed by the extra interaction. Collecting user sentiment would enable the bot to move to a simplified workflow when it senses the user is no longer interested in entertaining the bots’ curiosity. Although our discussion didn’t create any eye-opening discoveries, we did come out with a better idea of how to think about what we might call a botsonality. First off, it doesn’t have to be as intricate and as real as a human personality. But creating the perception that it is is an important challenge, and requires careful consideration of the realities who the users are, and what the use case is. 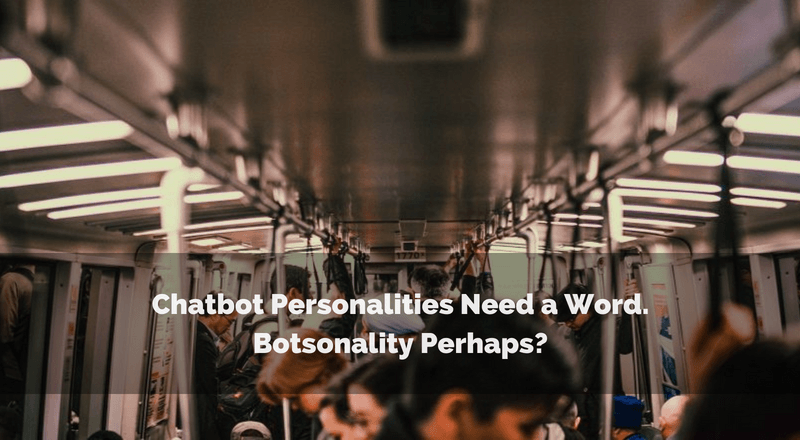 Second, when creating a Botsonality, developers should consider the following questions: What is the bots objective, and what are the ideal personality types to achieve that objective? What is the context of the users, in terms of geography, culture, political affiliation, interests and mood? What is the conversation flow that is required to achieve the objective, simulate the personality required, and be flexible enough to adjust to the perceptions of your users? Although it doesn’t seem easy, building a botsonality isn’t impossible. By starting with limited objectives and scope, creating a botsonality through iterative design is achievable. For the past couple of years, C-suite executives and industry insiders alike have predicted that chatbots are set to become the next big disruption in business technology. As major Silicon Valley players like Facebook, Google, Amazon, and Apple have moved to integrate automated conversational platforms into their devices and social media messengers, it has become increasingly difficult to deny that assertion. Indeed, the sheer ubiquity of chatbots in our daily lives is a testament to the widespread adoption of these technologies. From online retailers to banks, airlines, and even government agencies organizations in every industry are deploying chatbots at an unprecedented rate across a variety of customer touchpoints. In a world where messaging apps are comfortably outstripping traditional social networks in popularity and usage, the importance of maintaining an engaging conversational presence on websites and other interactive portals cannot be overstated; especially in today’s highly competitive digital environment. A recent Oracle survey of international decision-makers showed that at least 80% of executives plan on utilizing chatbots for their sales, marketing, and customer service by 2020, and the global market for these tools is expected to reach $1.25 billionby 2025. Is The Reality Falling Short of the Hype? However, skeptics argue that chatbots are still very much in their nascency and that the technology has to evolve before consumers will accept it as the foundation for their customer service interactions. Although chatbots have generally proven to be quite effective in creating engagement, this increased attention rarely translates to more conversions. In fact, less than 40% of users actually go past the first line of conversation, in many cases, this is due to a poor initial experience with the technology. While chatbots are able to answer targeted queries quickly and accurately at a fraction of the cost of their human counterparts; in their current iteration, they have some critical limitations which can prevent them from truly winning over online users. When users perform one-off actions that require guided assistance (booking and airline, managing your bank account) chatbots offer great functionality. But as conversations become longer and more complex, chatbots will often fail to understand the user’s intent or the context in which the conversation is taking place. Inevitably this leads to incorrect answers or the all too familiar, “I did not understand your request” refrain. According to Facebook more than 70% of its chatbots currently fail to accurately address user queries. Of course, the reason for this is clear. While chatbots may create an illusion of intelligence, most chatbots are still decision-tree model which helps chatbots to navigate between different logical frameworks based on a series of manually programmed flowcharts. The chatbot will reference a user input against one of these pre-programmed responses and if a match is found then the corresponding actions are initiated. 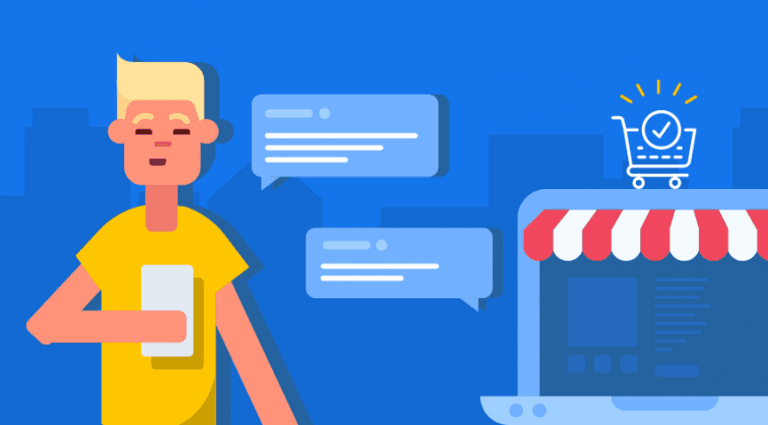 Often the chatbot will become confused as various rulesets across the framework contradict each other, causing the entire conversational thread to collapse. This call and response system trades conversational simplicity and limited flexibility for efficiency and responsivity. They must be able to keep track of the flow of the conversation and use it to inform their understanding of the current query. They must be able to understand the user’s intent. They must be able to generate a grammatically correct reply that provides the correct information. Even before chatbots came around, larger organizations faced significant issues communicating with their customers in a natural, relatable manner. The proliferation of KPIs in customer service departments across the world has led to robotic customer interactions where the needs of individuals often play second fiddle to metrics involving call handling time and number of calls answered. Amidst these concerns, artificially intelligent chatbots can take the burden off of customer service representatives’ shoulders, and offer customers the sort of meaningful, personalized interactions they seek. Deep learning may be essential to achieving this objective. And that’s not it. 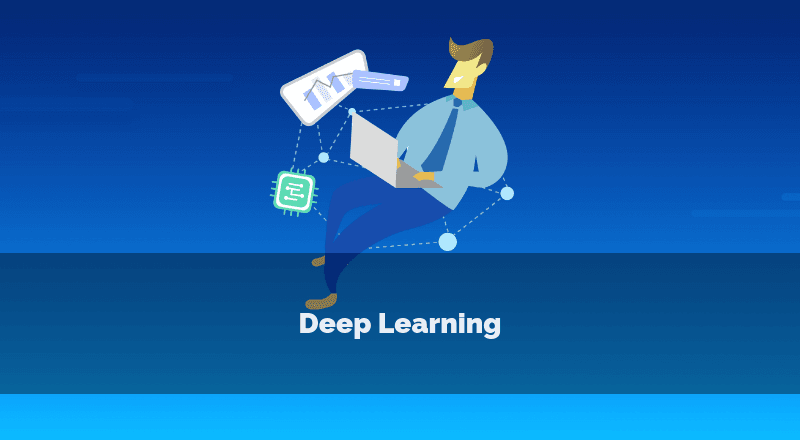 Deep learning can help businesses to meet user expectation with the use of consumer and labeled data, understanding the needs of customers and, later on, predicting and fulfilling the trend. Deep learning is particularly useful in aspects such as automobile application. The technology is used to detect objects on the roads like traffic lights and stop signs, which can help bring down the number of road accidents. Deep learning involves feeding large quantities of data through neural networks (computer systems that are modeled on the cognitive processes of the human brain). Each neuron of the neural network analyzes the data for a specific quality and assigns a true/false value to it on the basis of this analysis. Once the data has been processed through the entire chain it is classified on the basis of these assigned attributes. This deep learning machine can then used all of these insights to inform real-time actions. Through this process, machines can be taught to automatically recognize and respond to a range of inputs including pictures, videos, sounds, or in the case of chatbots written language. The great thing about using deep learning for a chatbot is that your machine becomes quicker and more accurate as it processes more data in real-time. In order to unlock the potential of deep learning for chatbots, you must combine it with another area of AI known as NLP ornatural language processing. NLP gives chatbots the ability to interpret human language as it is naturally spoken, draw key insights from it, and to translate their insights into a functional form of this language. Essentially, NLP allows chatbots to talk like we do. With NLP and deep learning, chatbots can analyze a stream of human inputs for their intent and related actions, and use them to generate more human responses. Today, websites like Google, Amazon, and Netflix use similar techniques to recommend purchases and predict search terms. To model a more human chatbot system, you have to start by referencing human conversations. Extract information from your CRM systems regarding the length of the average inquiry, the complexity of the conversation, and the more common responses used by call center agents. If you receive a large volume of short single-issue calls then automating the conversational flow will be a lot easier. A longer conversation will require your chatbot to keep track of previous issues discussed over the course of the conversation. In order to train your neural network, it is important to collect as much conversational data as possible and ensure that it is relevant to the type of queries the chatbot will be handling. Traditionally, this approach has been used in conjunction with a retrieval-based model which applies deep learning insights to define and contextualize chatbot responses with reference to a selection of pre-defined responses While these systems can be powerful and accurate, they are also rigid and less likely to appear human. Today, AI research is moving towards more generative models that can create wholly unique responses based on the context provided by a given input. While these chatbots may not necessarily provide grammatically correct or even accurate responses all of the time, they will be much better equipped to deal with the improvisational flow of a longer conversation. Based on the type of customer interactions you most often receive a retrieval-based system might be more appropriate for your needs. However, if you are looking to build a smarter chatbot that can engage customers then a generative model will be required. RNN stands for recurrent neural network. This model based on a sequence-to-sequence system which takes input text and runs it through an encoder system which transforms the inputs into numerical vectors which then form the basis for the chatbot’s vocabulary. A separate decoder then takes this fixed representation and uses it to generate a variable corresponding output; this same process is undertaken for each word a sentence. Once all vectors have been generated, each input is multiplied by a fixed variable to come up with a probable output based on the context of the conversation. This output is then compared to the actual response that was generated in the conversation. If the response, matches closely then the chatbot is rewarded and it moves onto the next input. It is important to note that each successive output generated through the RNN will be influenced by all past inputs that have occurred up to that point. Thus the generative model can provide the chatbot with vital context that produces an optimal conversational flow which closely mirrors natural conversation. It is important to note that we are still a long way from completely human conversations involving chatbots. Part of the issue is no doubt down to the inherent limitations of generative models. Because these models find answers based on an analysis of possible outputs, generic yes/no answers are likely to be far more common. Similarly, the piecemeal method of generating outputs may result in grammatically incorrect sentences. However, as systems like Siri and Alexa process ever-greater volumes of human inputs in real-time, it is only a matter of time before these systems are integrated with deep learning systems that can help them understand user intent, query patterns, and predict the flow of the conversation to come. 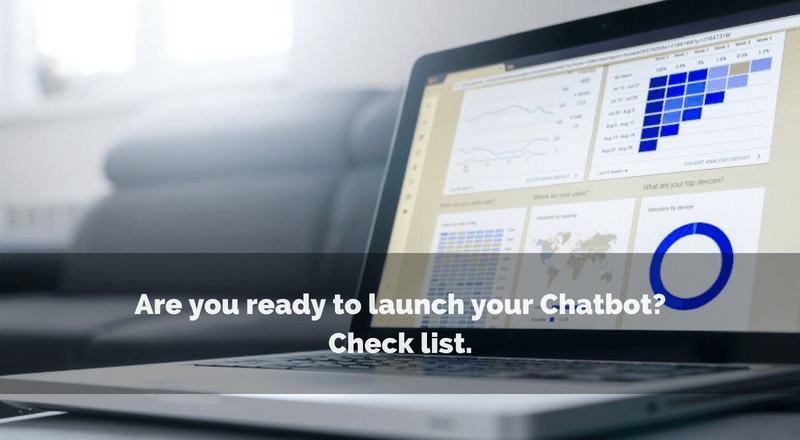 Chapter 9: Ready to Launch Your Chatbot? Checklist. Emails: Remember letting customers know about your Chatbot is not a promotional email. Chatbots are a free service that you provide, so make sure to let all your customers know that there is a new way they can communicate with you to get things done quicker. App promotion: If you have an app that you engage with your customers on, send out a quick blast to let them know that there is a new, more conversational way to get things done. Social media: Advertise your bot on Facebook, Instagram, Twitter and all your other social media channels. 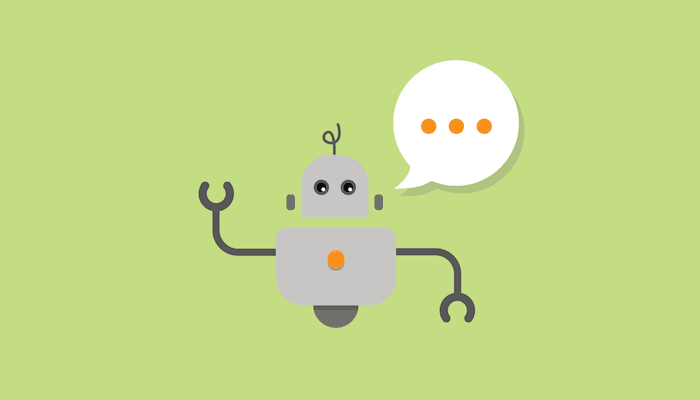 Your website: Make sure there is a link to your bot on your website, put it somewhere near the contact us section and let your customers know they can chat with you in real-time. If you have a blog section on your website it doesn’t hurt to write about how you’re improving your business with a Chatbot. Blogs and reviews: Invite prominent Chatbot bloggers to have a look at your product and review it. Make sure you educate them about your competitive differentiators first. Press releases: Let the press in your industry know that you have launched a Chatbot as a competitive advantage. At this stage, it’s really important that you are confident with your Chatbot before you contact any outside people. A prominent and poor review of your bot can mean you quickly lose much over your investment and end up in a hole you need to dig yourself out of. Most importantly you don’t want your customers to have a bad experience with your bot on the first go. Do some competitive benchmarking of your bot ahead of time, if you can point out a few ways your bot clearly helps your value proposition over your competitors, it will help your bot and your company get more business. In the long run, keep track of those competitive differentiators and make sure to add more as time goes on. Chatbots are meant to replace human effort, but bots are not as smart as humans yet. So some level of support will be needed even when the bot is active. Full automation is desirable but not attainable, at least for now. In general, the longer the bot is active the less the support it’s going to require, all other things being equal. With every new product, service or change the bot will need some time to learn to handle these new interactions. In that respect, there will always be cases that are left unresolved by the bot and someone will have to resolve those customer interactions manually. Therefore, it is essential to develop a process that creates a satisfactory handoff between bot and the human user that is more or less imperceptible to the user. By keeping a comprehensive log of these handoffs and the failures that caused them you can improve feedback loop and continue to improve the bot. This is why it is essential to ensure you have a continuing relationship with your bot builder. Even with meticulous planning and testing as your business grows and evolves the way the bot is written will likely have to evolve too. We would recommend compiling analytics and reviewing them on a monthly basis to ensure the fundamentals upon which the bot learns to remain strong over time. Usage share — If only a small fraction of your customers are electing to use your Chatbot, you know there is a problem and it’s time to figure out why. Longitudinal analysis of no. of users — A look at how the number of users is evolving with time is a good indicator of the success of your marketing efforts. If less and less number of people are interacting with the bot every week, it is a big red flag. Customer churn — One of the best indicators of usefulness is customer churn. If a user tries the bot but goes back to conventional methods, then he either needs to be either educated (via promotional material) or incentivized. Alternatively, it might be the time to go back to the drawing board a bit and look at the effectiveness of the bot itself. Breakdown by conversations — A bit of text mining or case by case analysis can identify the type of questions that lead to customer dissatisfaction. For example, you may see a high correlation between customer churn and returns related questions. Such an analysis gives you valuable information about both the performance of your bot and consumer behavior as well as the performance of your company. Efficiency of a bot — You can benchmark the bot performance either with your target service level or that of your customer care center. If the bot is able to resolve as many queries as the customer care in the first call, it can be considered a humongous success. Make a list of metrics in the development phase that would be useful for generating actionable insights in the future. You can partner with your vendor to add the necessary tools for data collection, storage and visualization of these metrics and makes sure they happen automatically. Service providers will have their own offers for collecting and storing data. Make sure you continue to own that data and include reporting in your SLA. Only you know the specifics of how your business is different from others, so don’t depend on the bot builder to provide perfect analytics without any input. Make sure you ask about the potential of customizability up front. The idea is that you can make the necessary changes in response to that analytics, so be sure to increase the reporting frequency heavily when any major changes are applied, no sense to make changes if they are not working. Better continue on with more human interference than letting your customers down. There are ready-made tools such as Bot Metrics and Mixpanel which can be embedded in your Chatbot with a variety of built-in customization options. These tools are especially useful if you are building the bot yourself as they would save you precious coding time. Start your Chatbot on one messaging app, to begin with. Once your bot is up and running and popular, you can look at increasing your coverage and releasing it on other messengers. It will be easier to spread across platforms with a working bot. Prioritize the platforms based on the messaging platforms your customers are actually using. Lately, messaging apps have exploded in popularity and have become the preferred vehicle of for communication. Thus, it makes sense to have your brand presence on these apps via Chatbots. Keep that in mind when building a bot, because it will end up handling hundreds or thousands of customer interactions per day. A successful Chatbot can reduce your costs, improve customer satisfaction and engagement and unlock new sources of revenue. A bad Chatbot has all the same potential but in the opposite direction. If you want to get on the Chatbot train, make sure to do it with a level head, the right partner and a heavy dose of realistic expectations and time. If you're interested in using AI to assist your customer-facing staff rather than just chatbots, click here to find out more about Rocketbot's new AI-powered conversation management platform. Hangouts vs Messenger – How should you be Communicating?